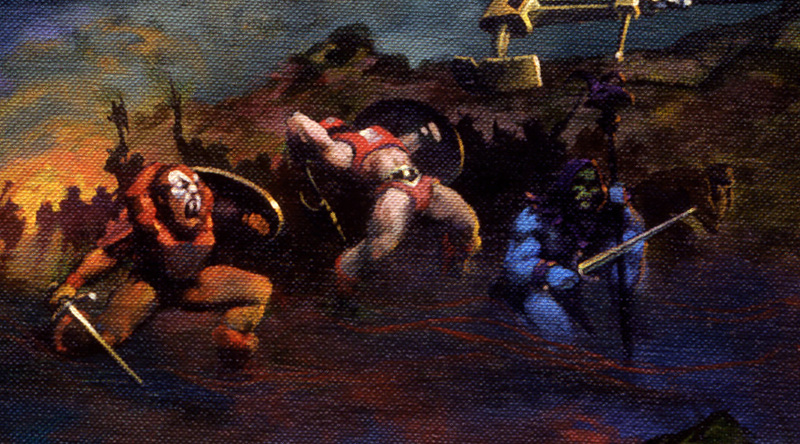 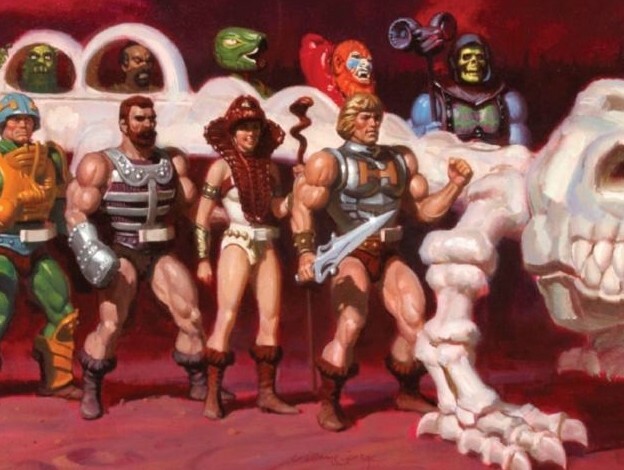 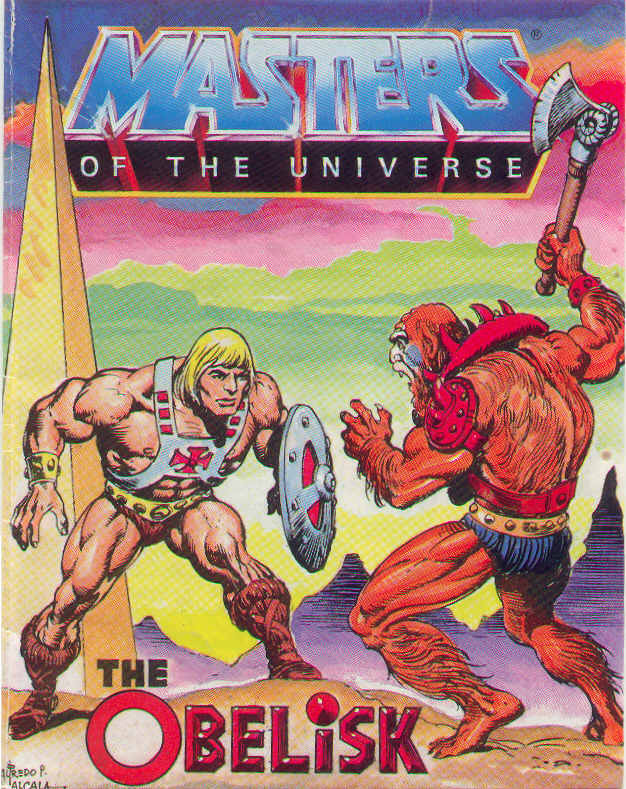 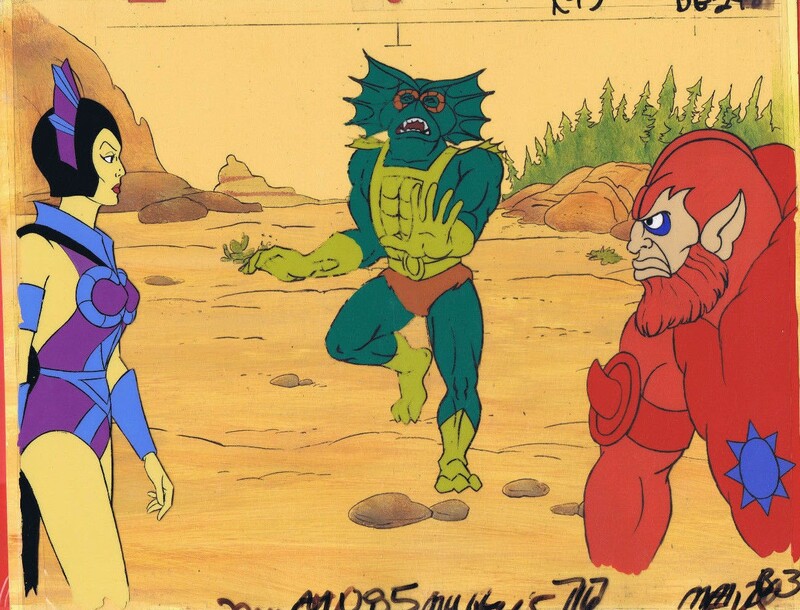 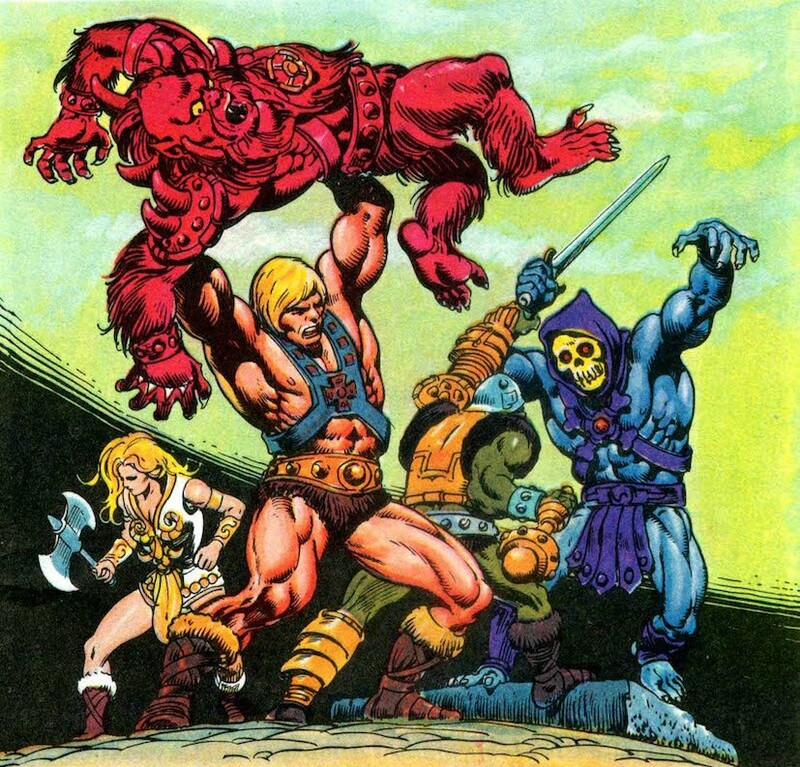 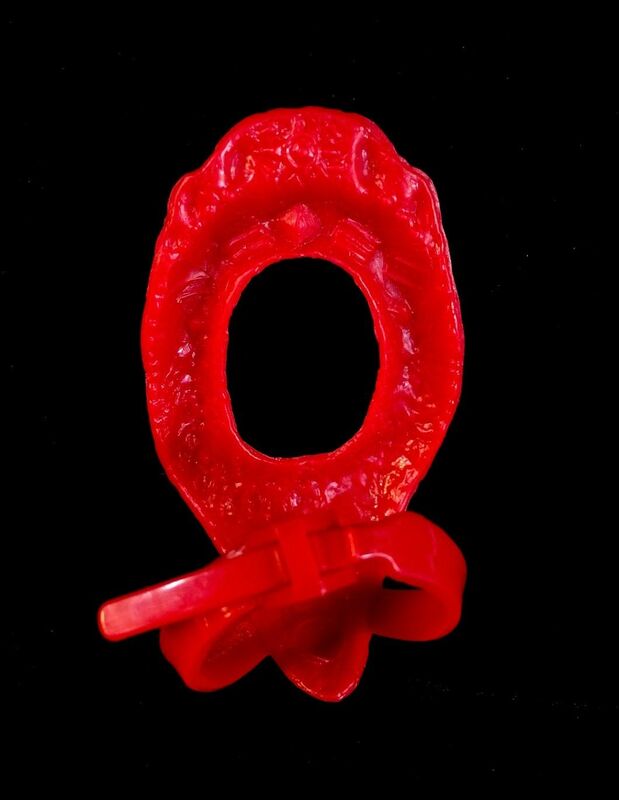 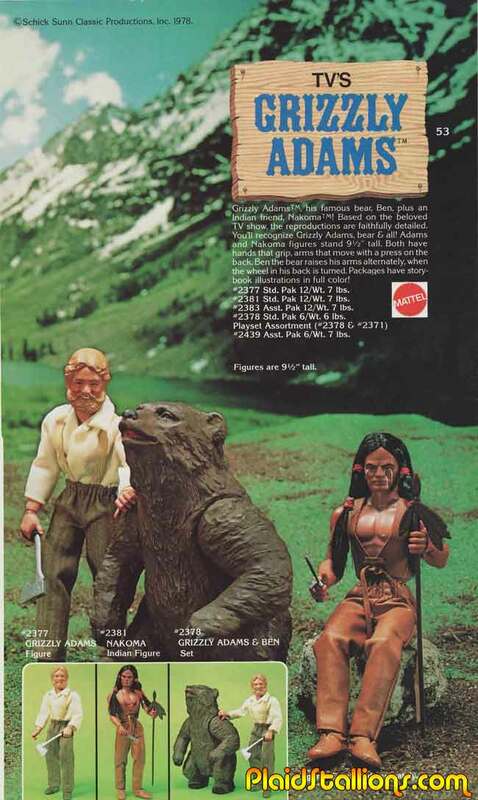 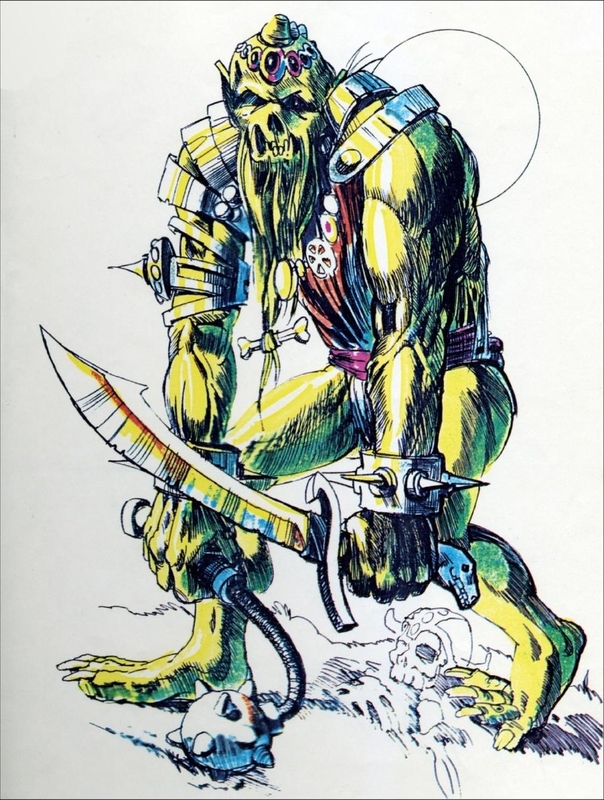 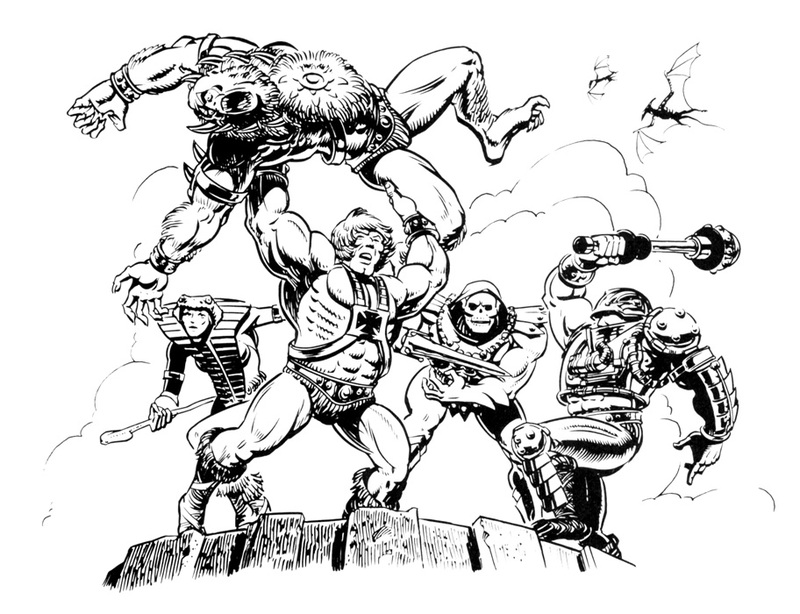 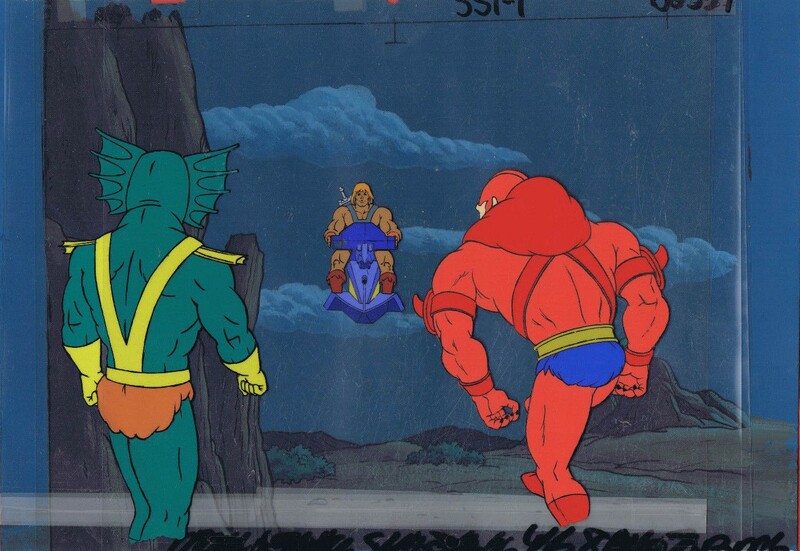 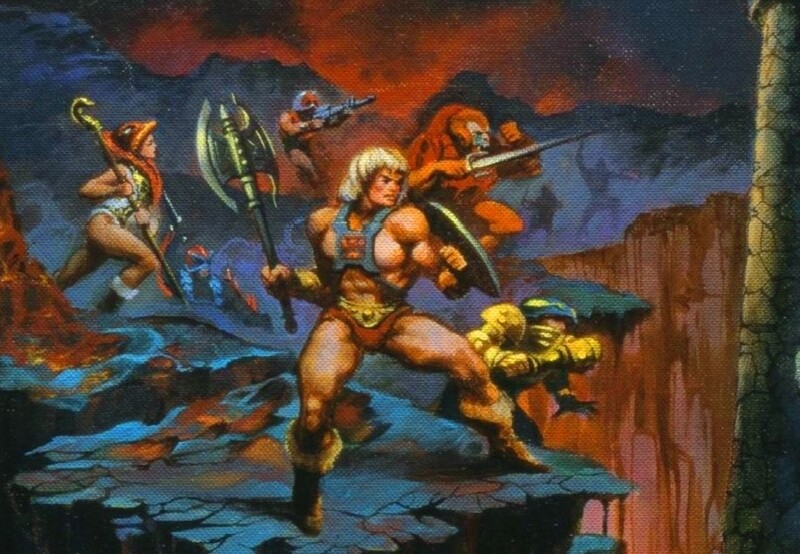 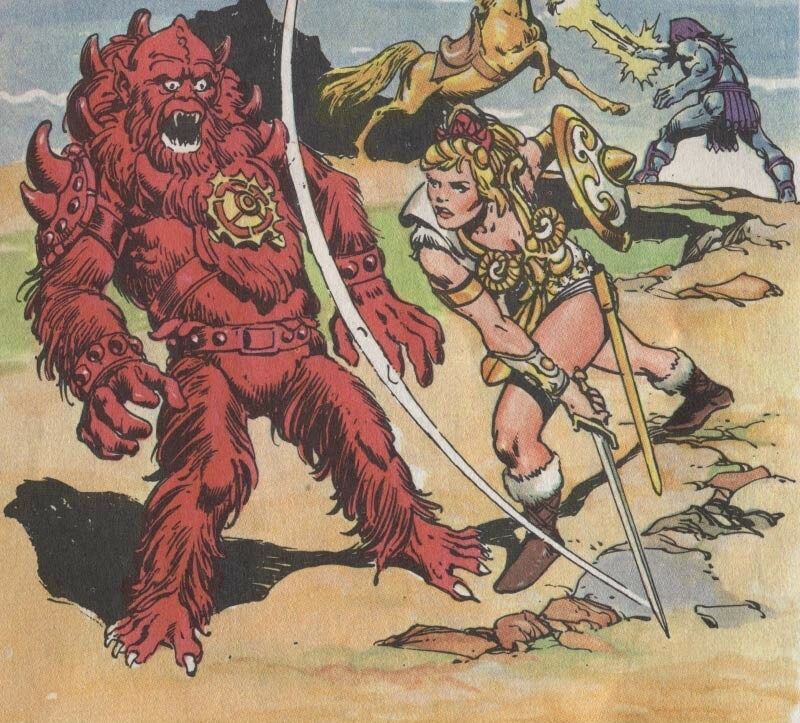 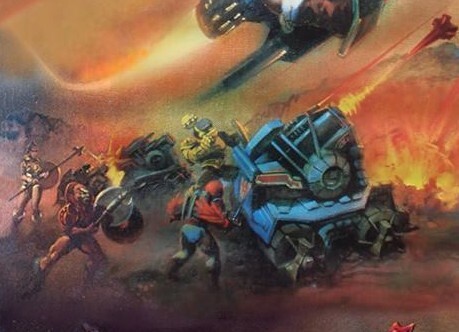 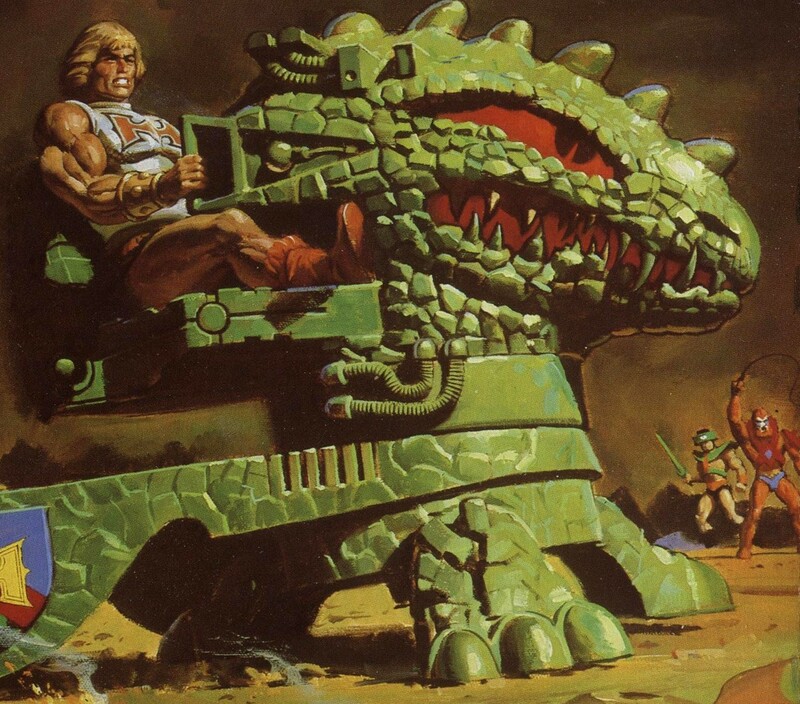 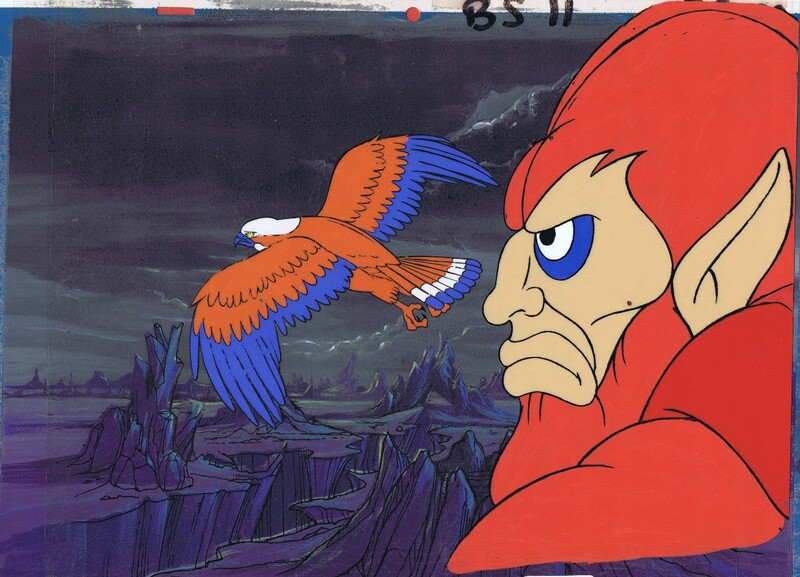 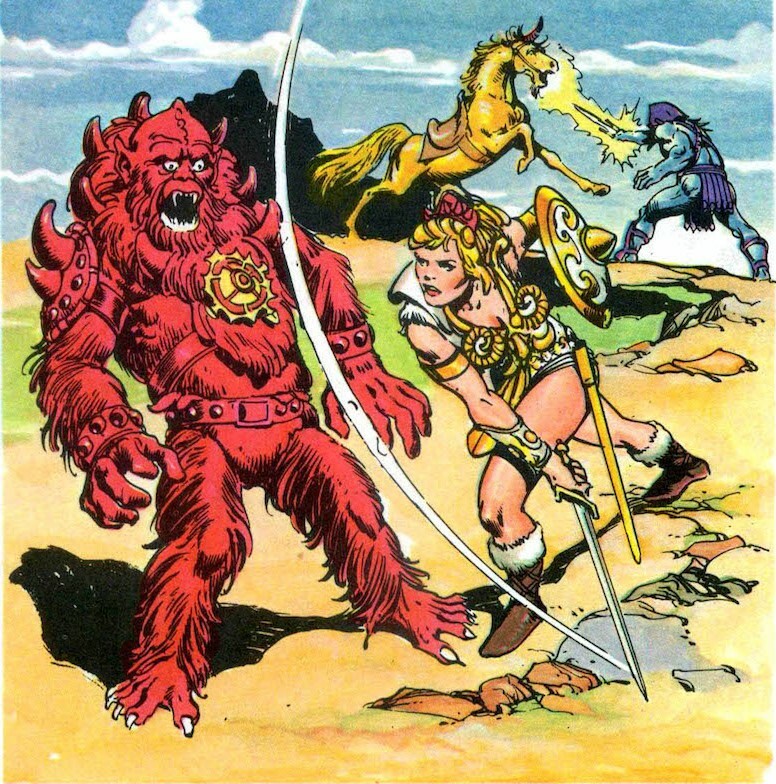 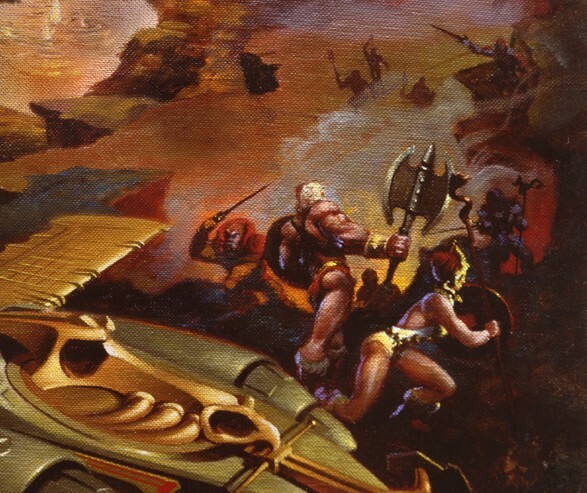 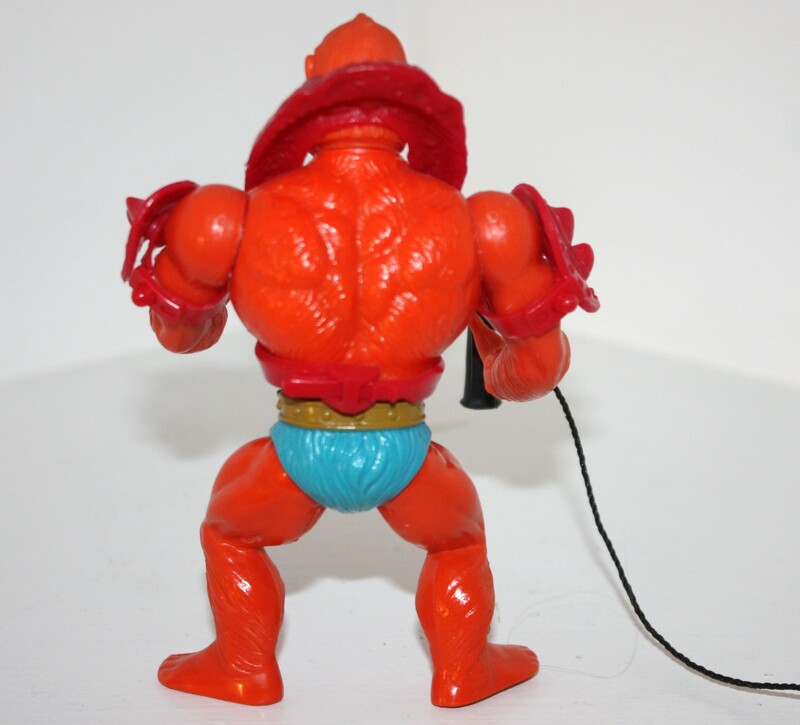 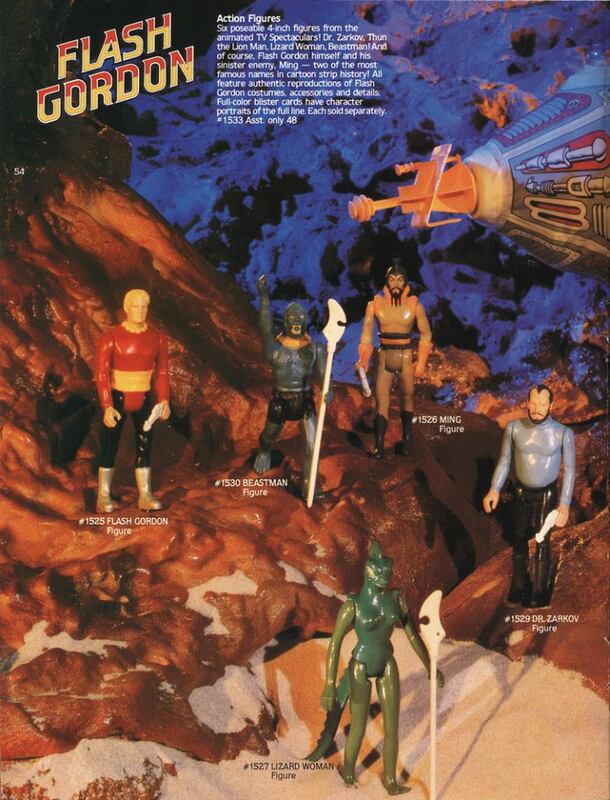 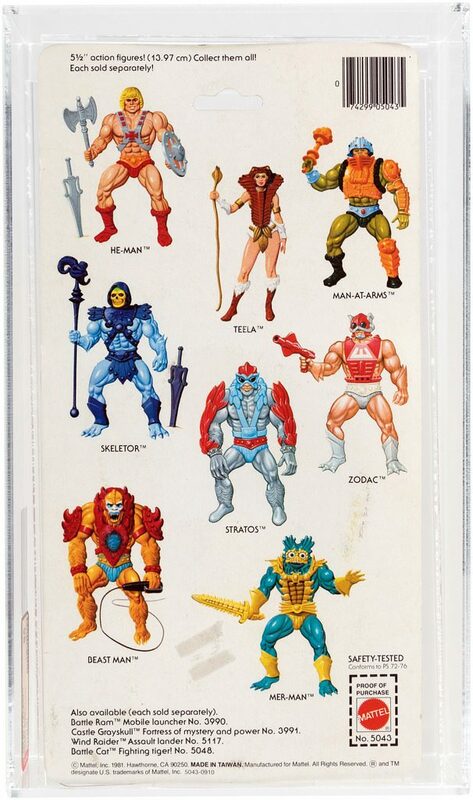 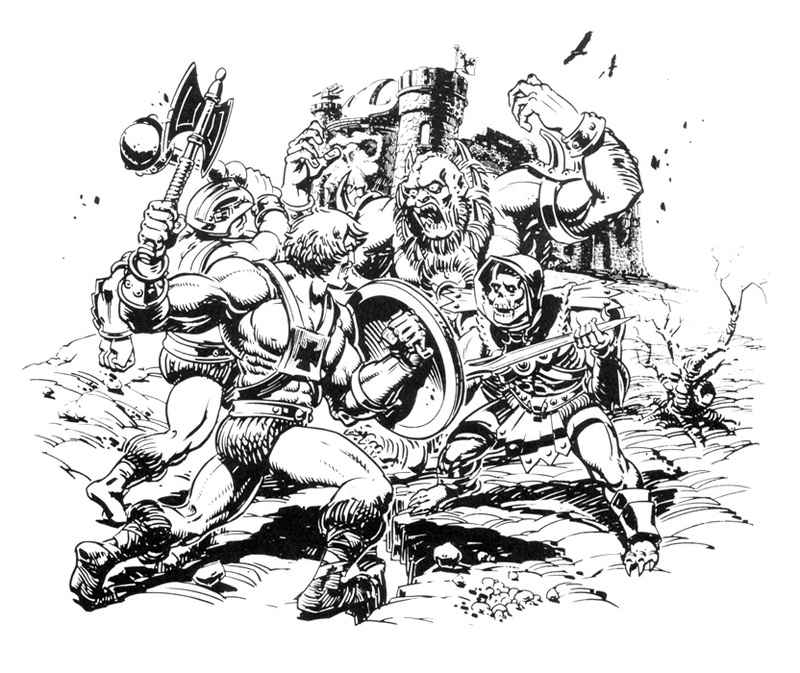 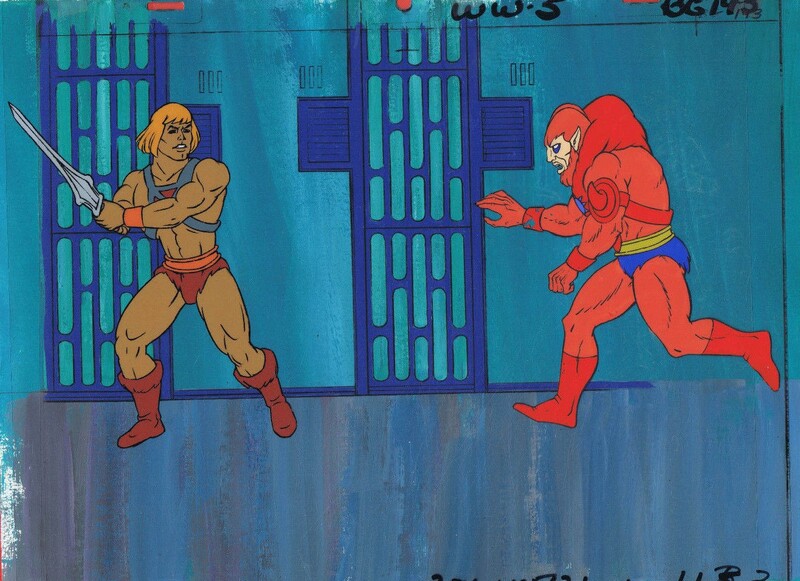 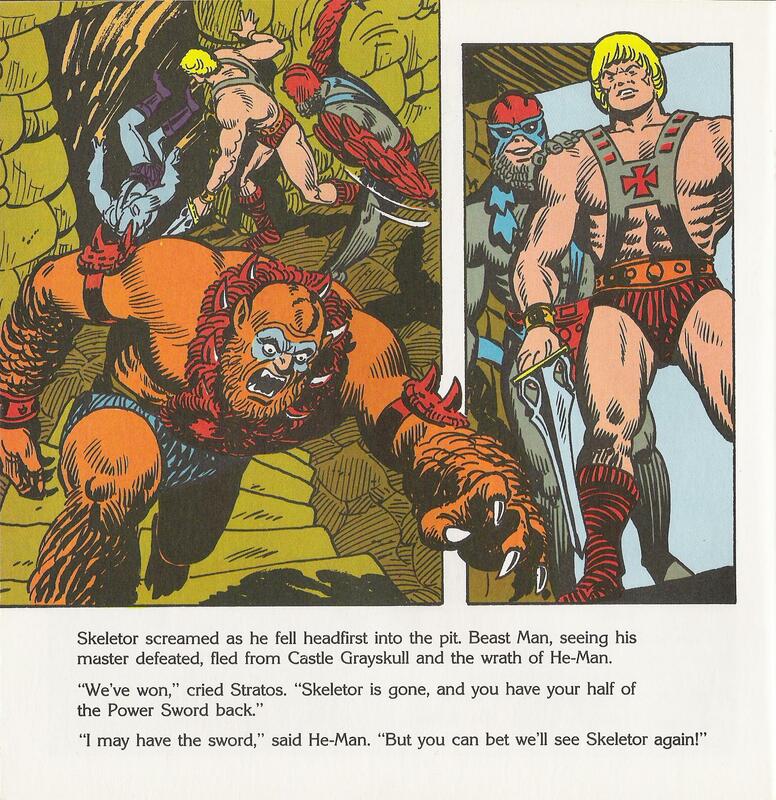 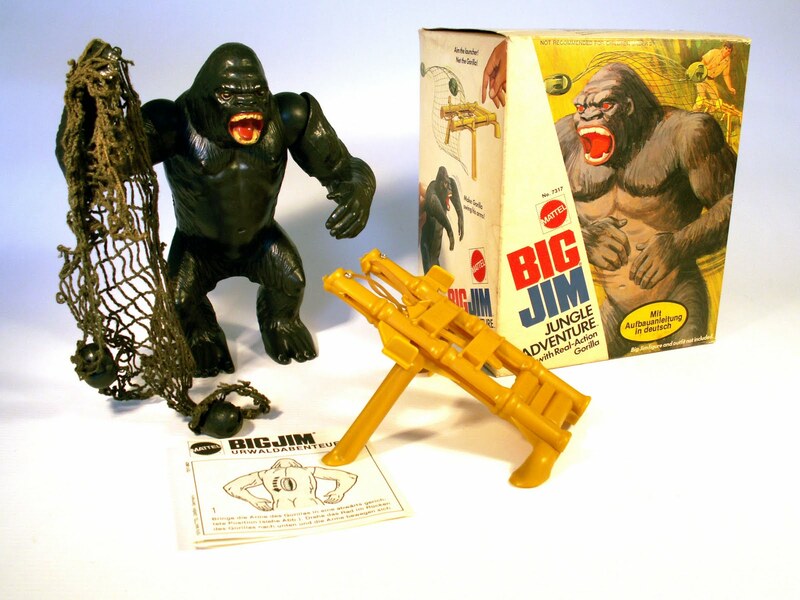 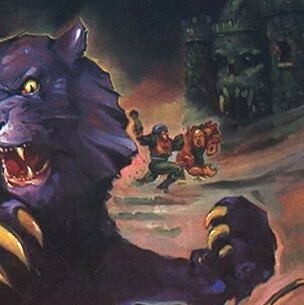 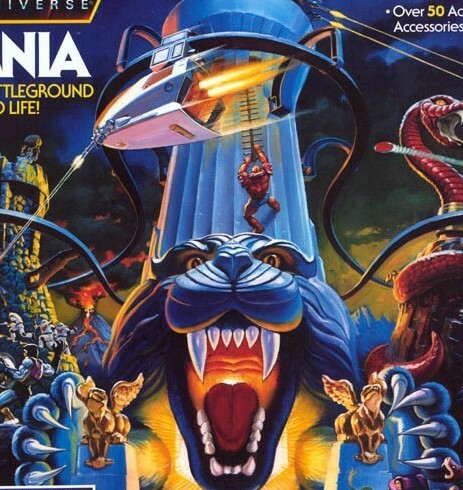 Either way, a classic, key character, and as documented here and elsewhere, it might seem that, at some points at least, was considered for the main nemesis against He-Man. 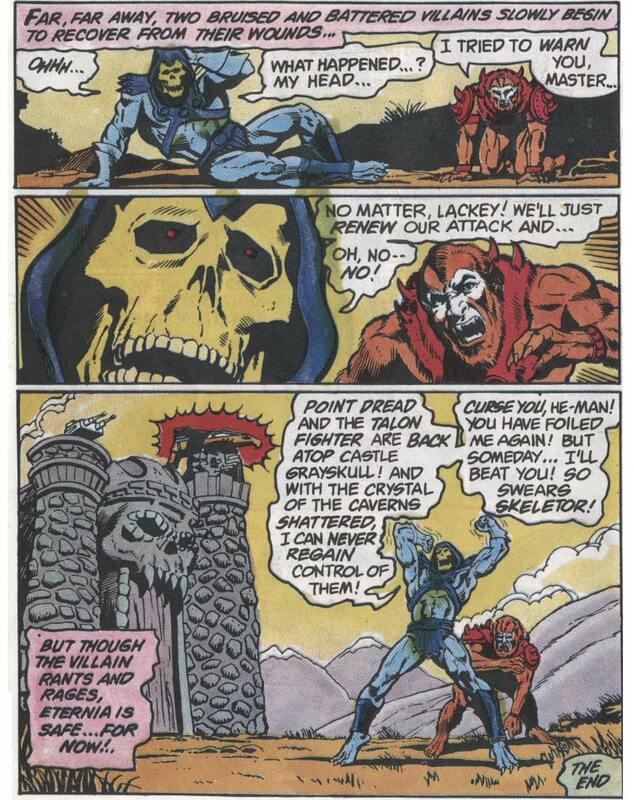 I’m fairly glad he didn’t, as Skeletor is iconic as the Big Bad, and ol’ fur face is great as his growling henchman. 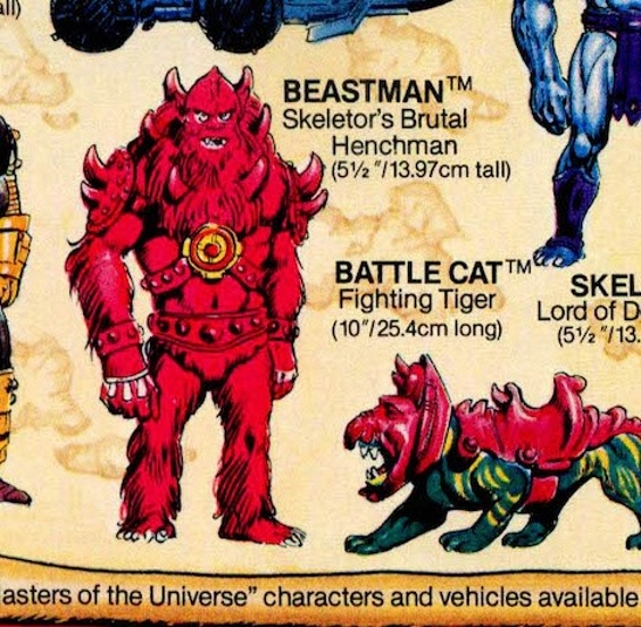 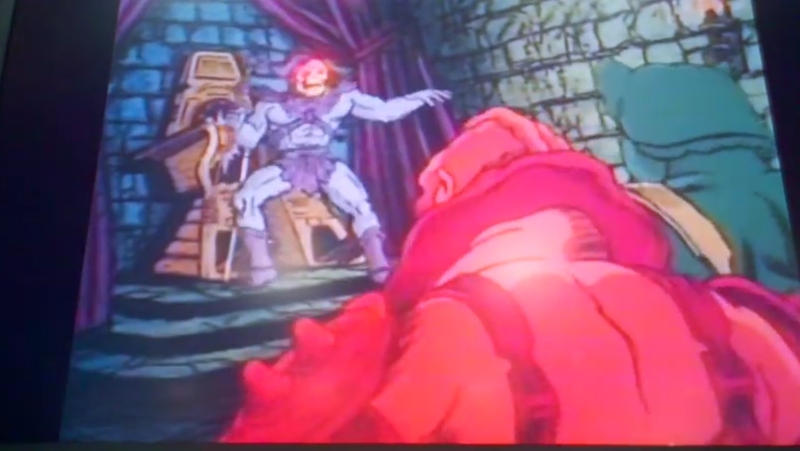 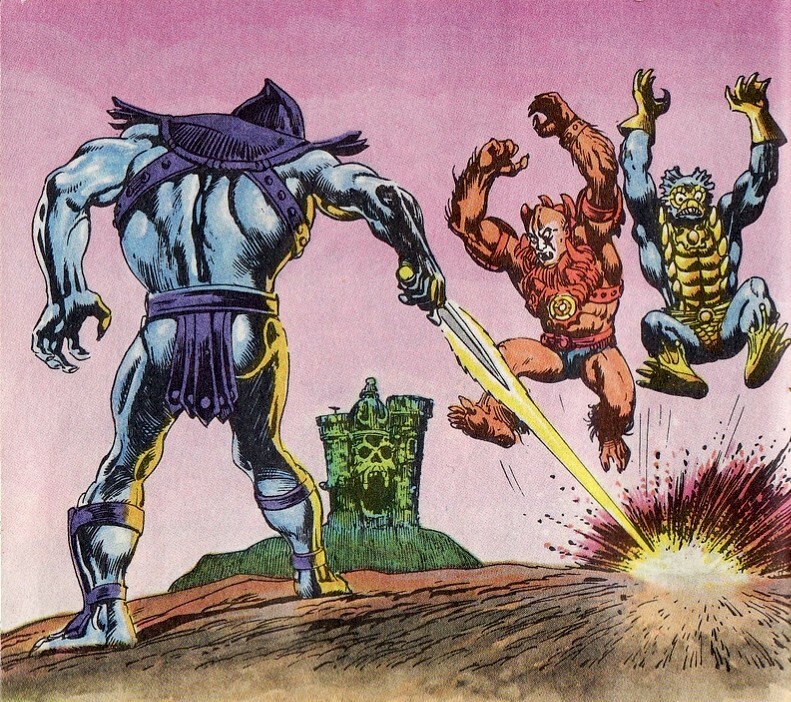 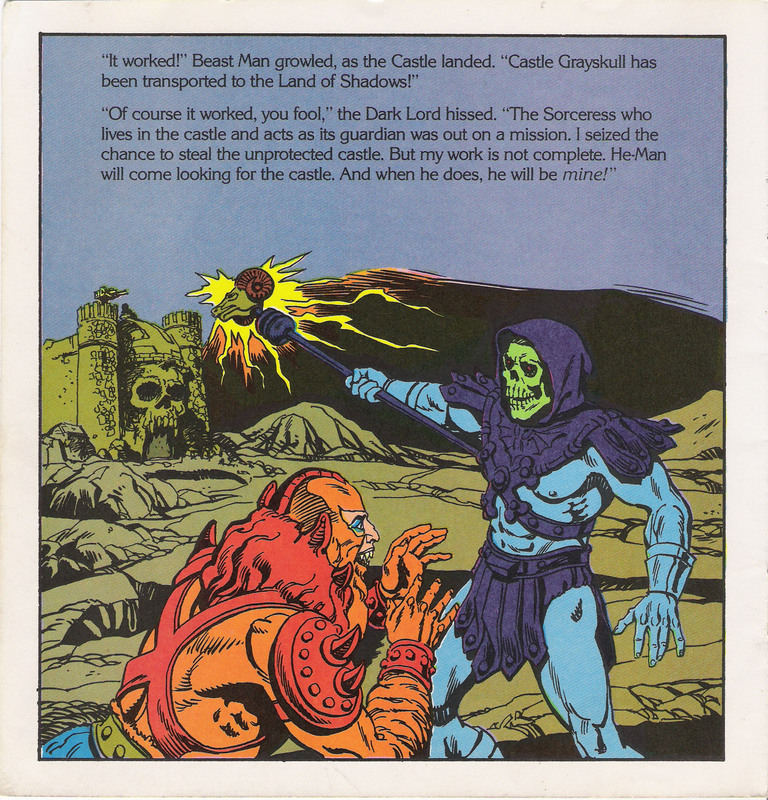 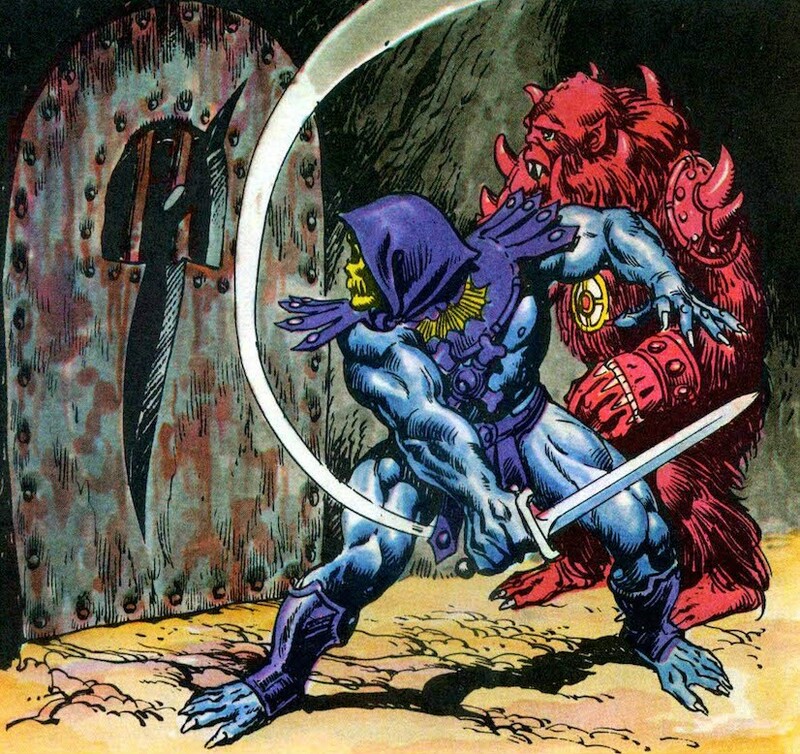 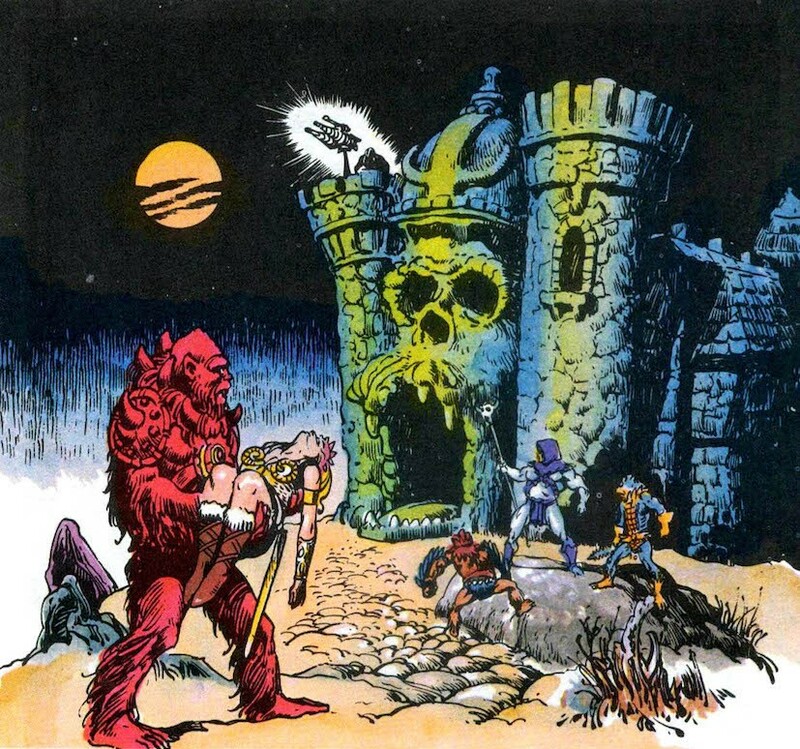 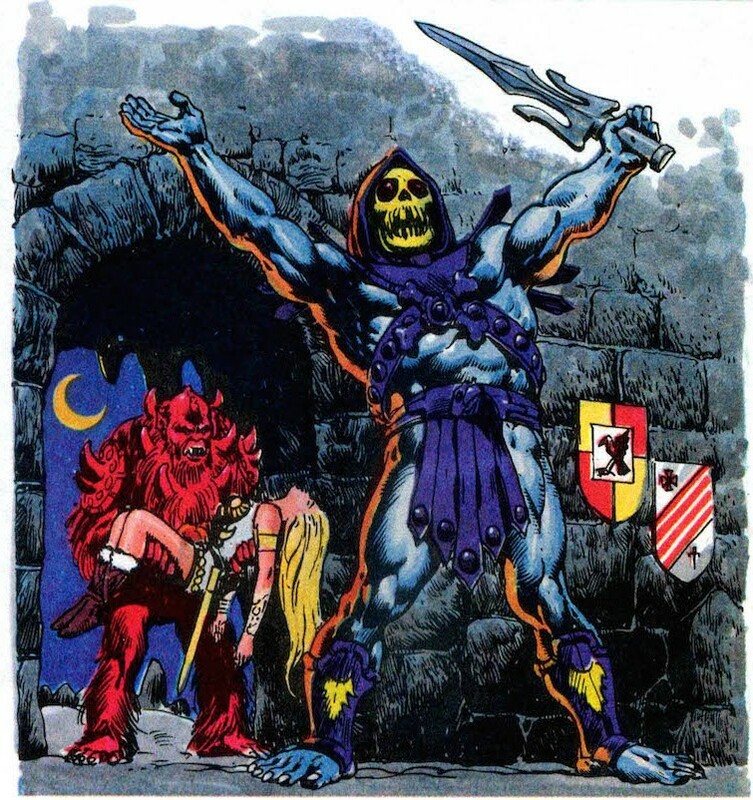 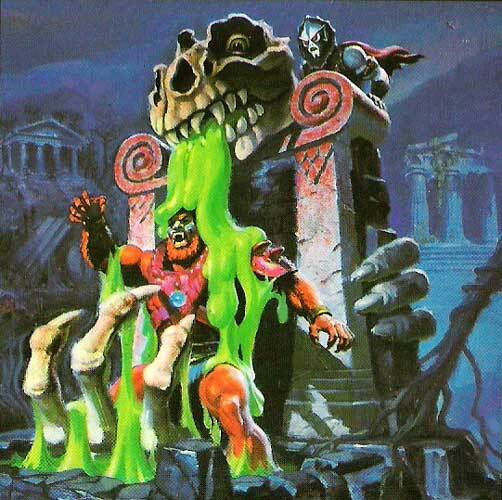 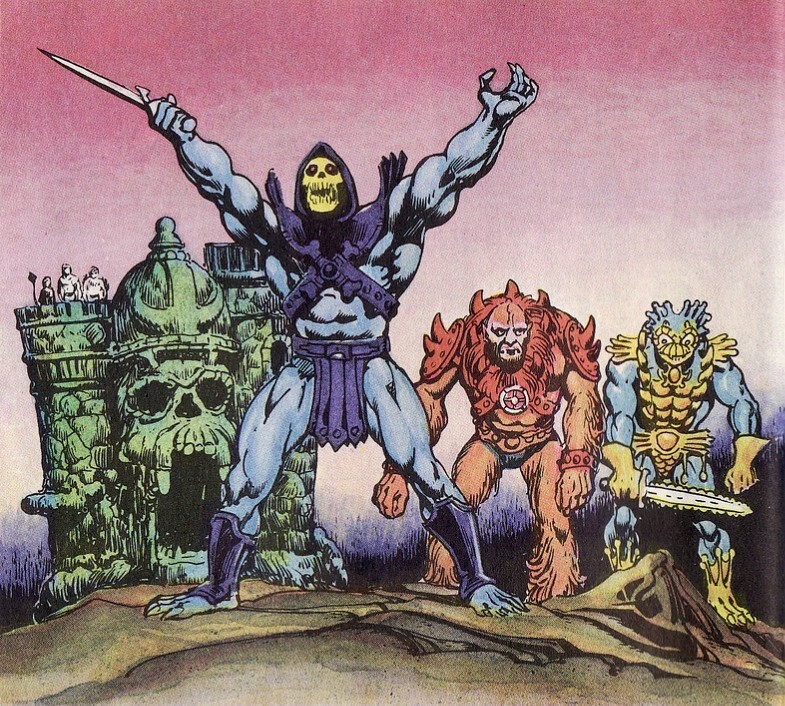 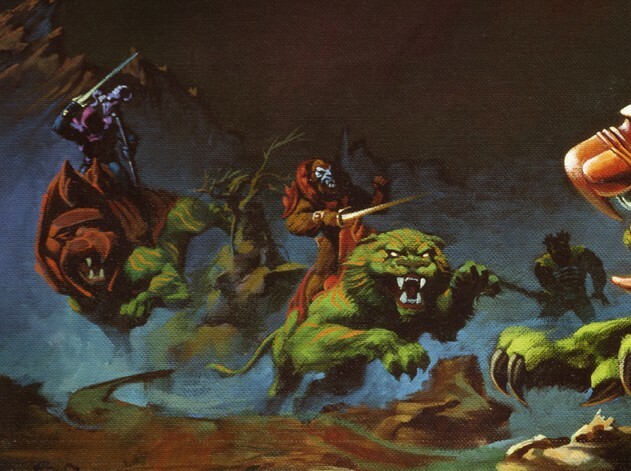 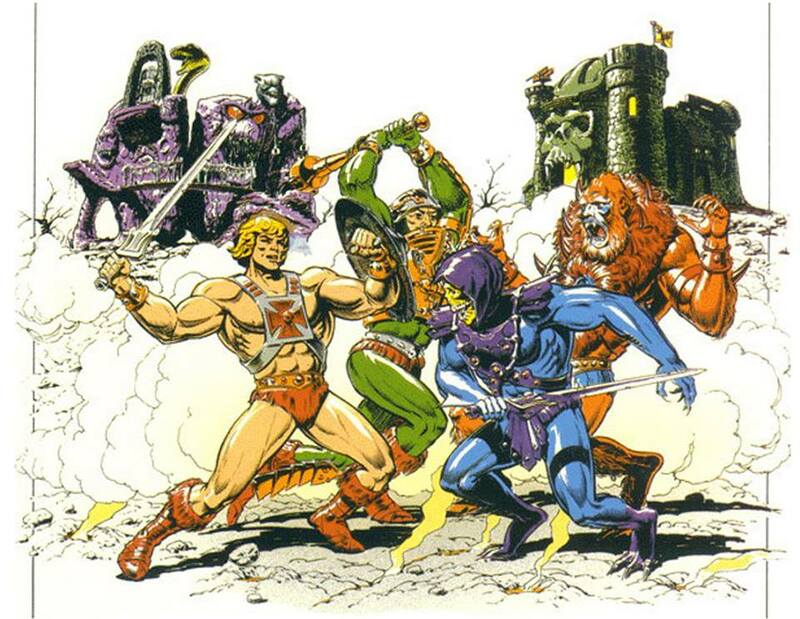 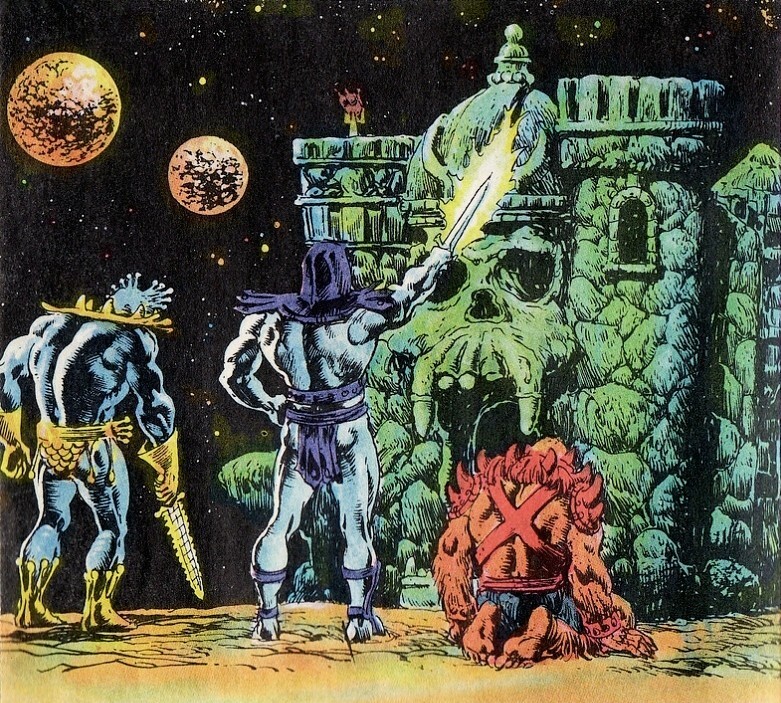 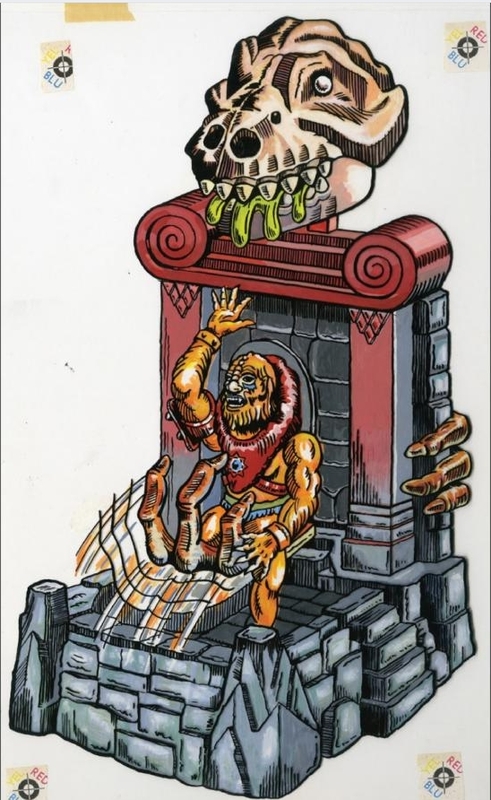 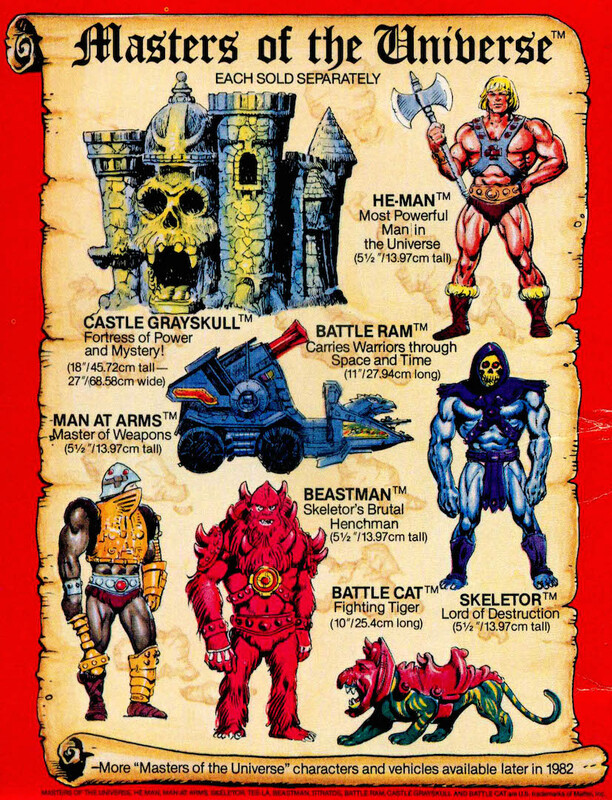 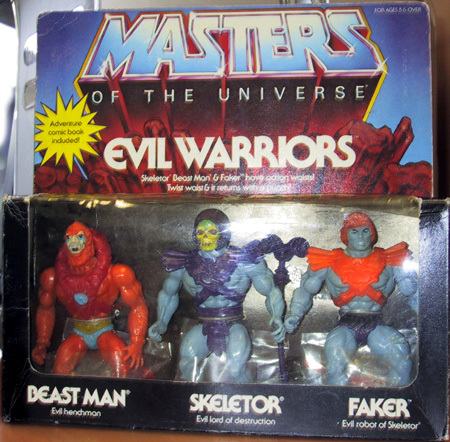 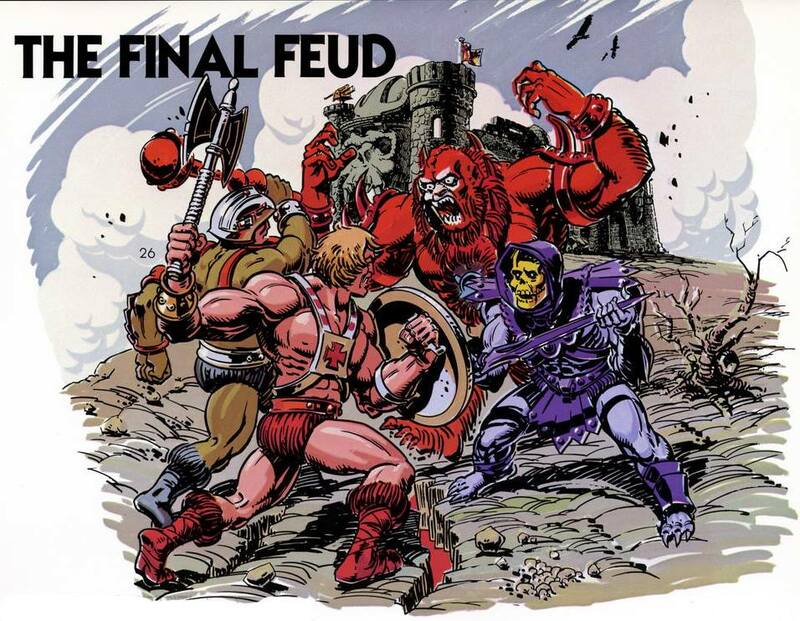 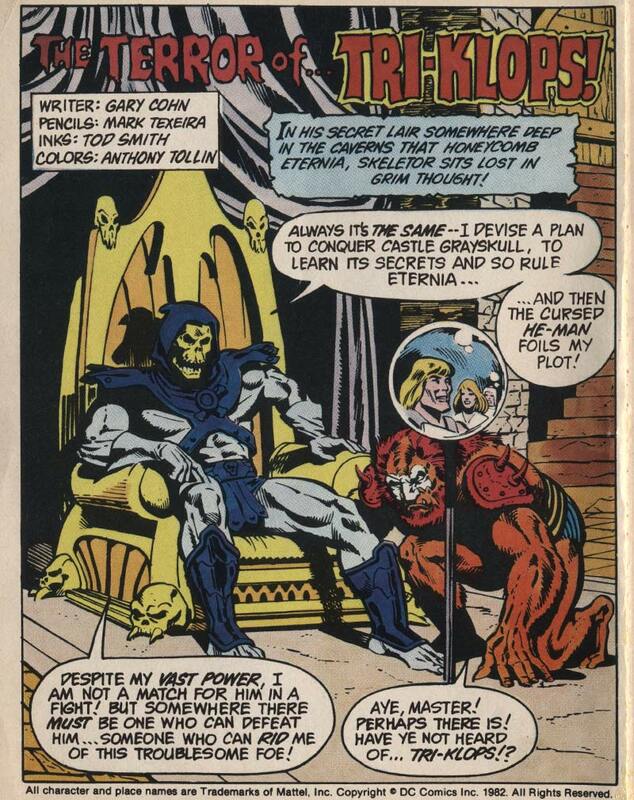 Then again, maybe in some alternate reality where things panned out the other way… maybe Beast Man could be celebrated as a feral main villain and Skeletor the comedy skeleton underling! 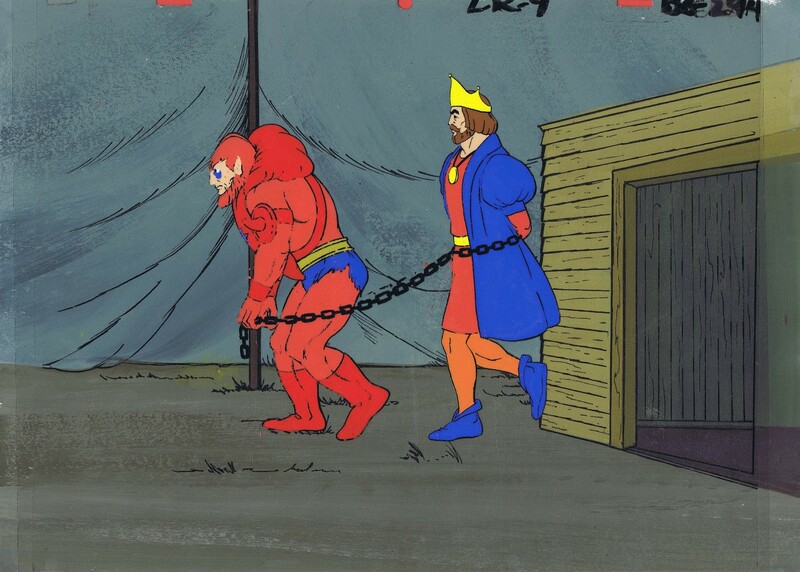 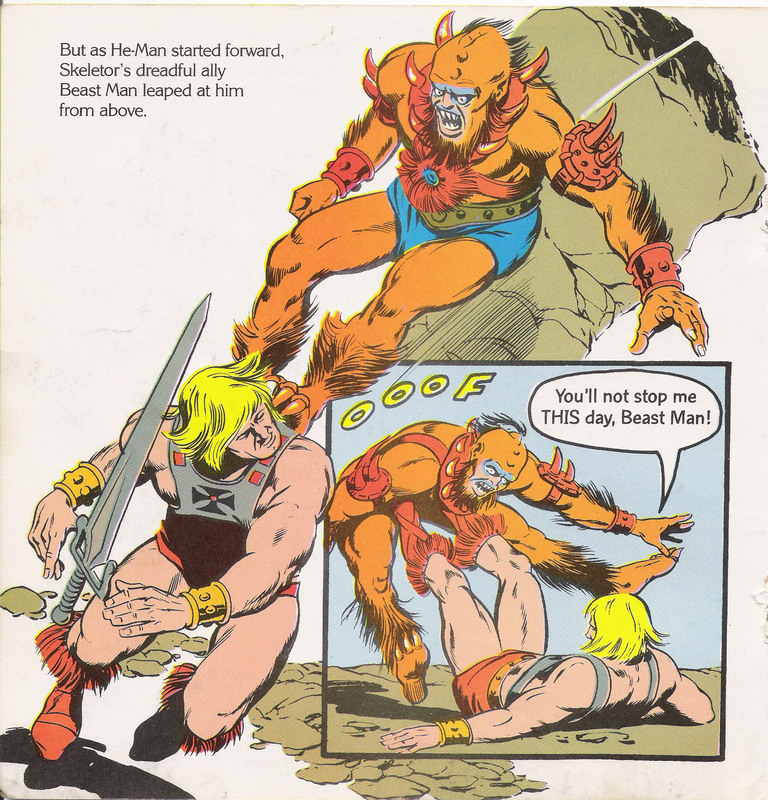 I find Beast Man’s appearance in the second wave of mini-comics to be interesting. 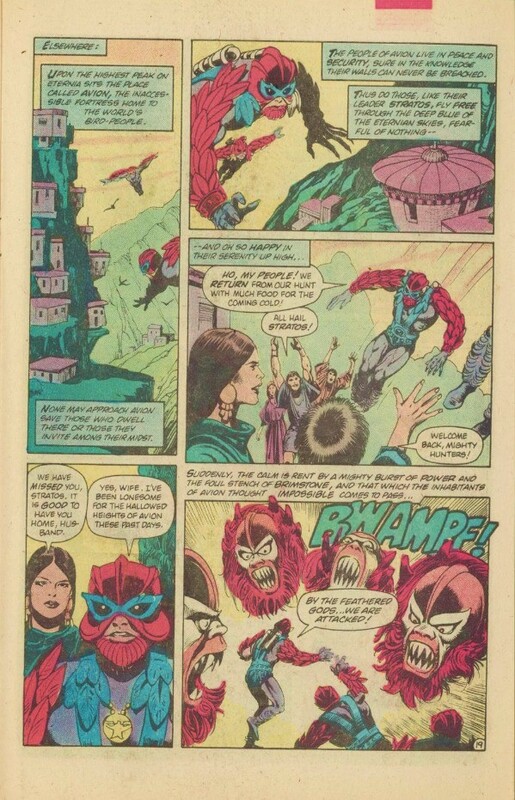 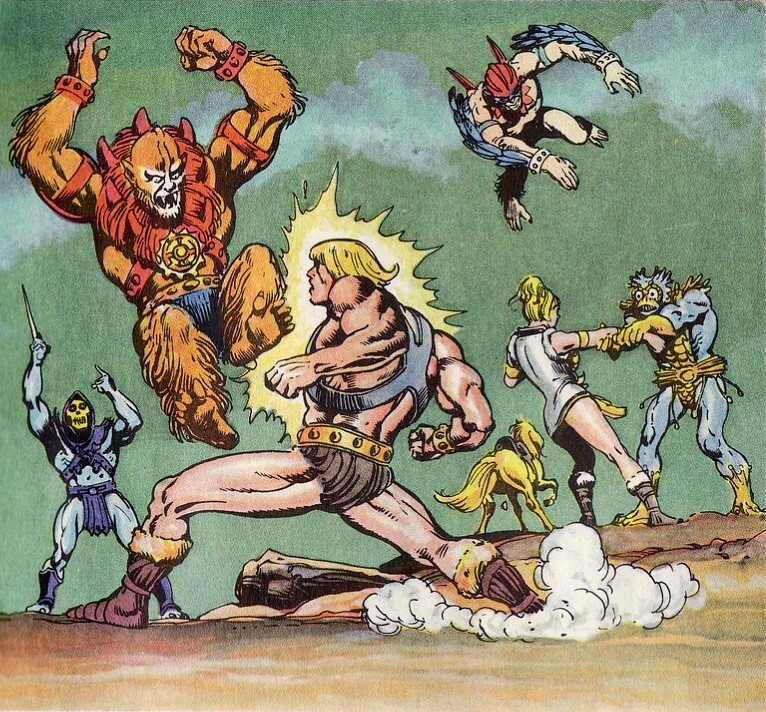 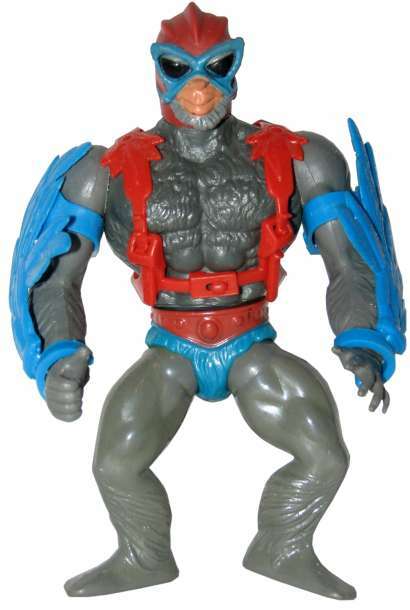 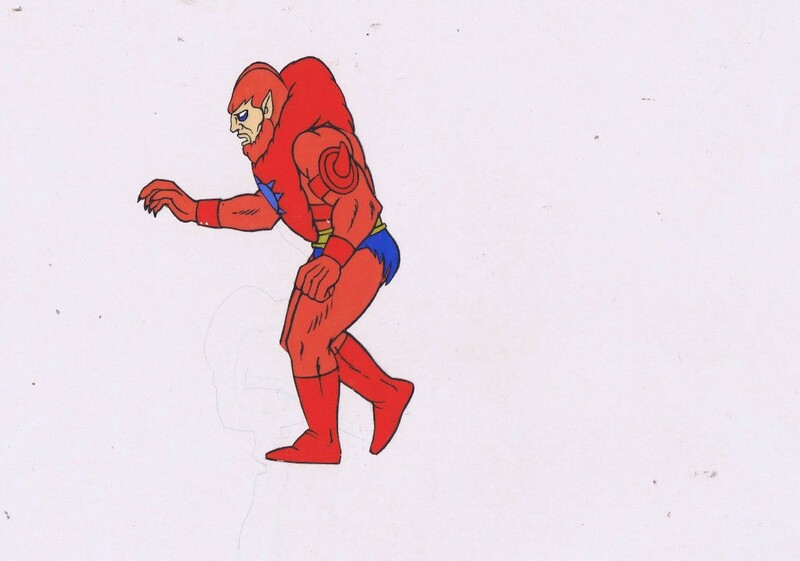 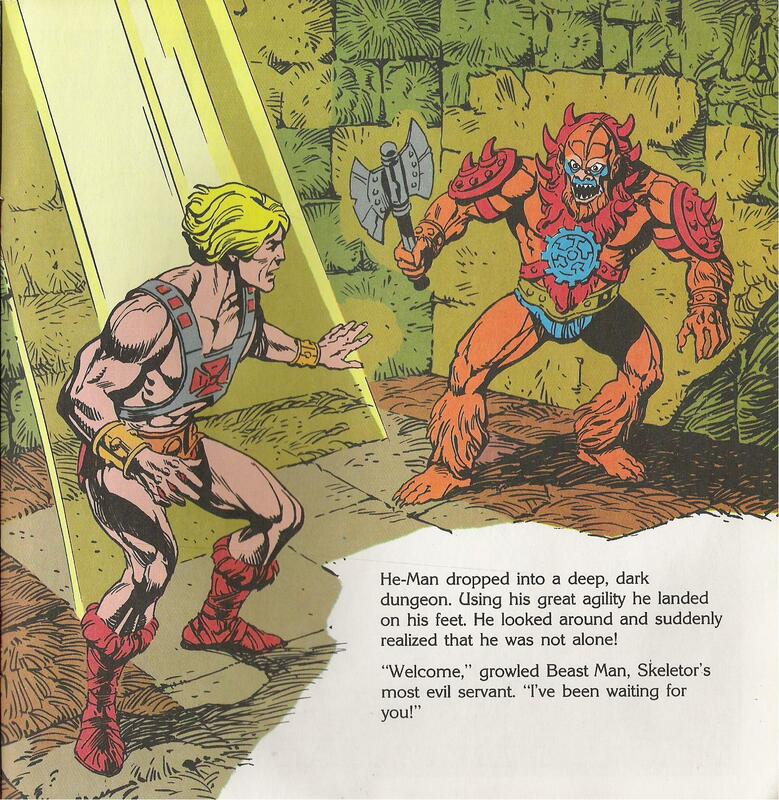 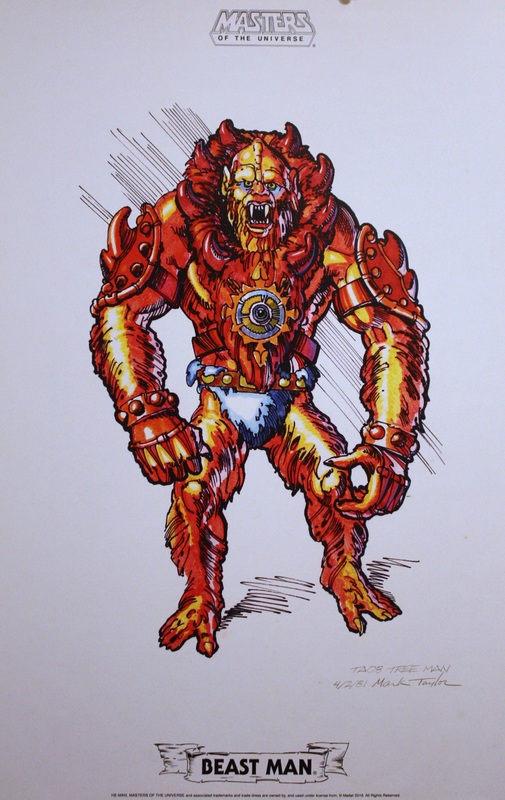 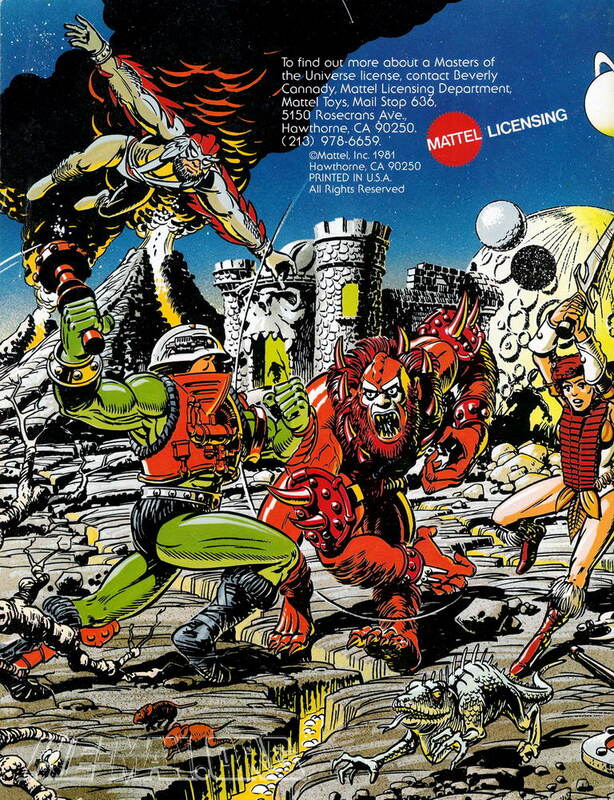 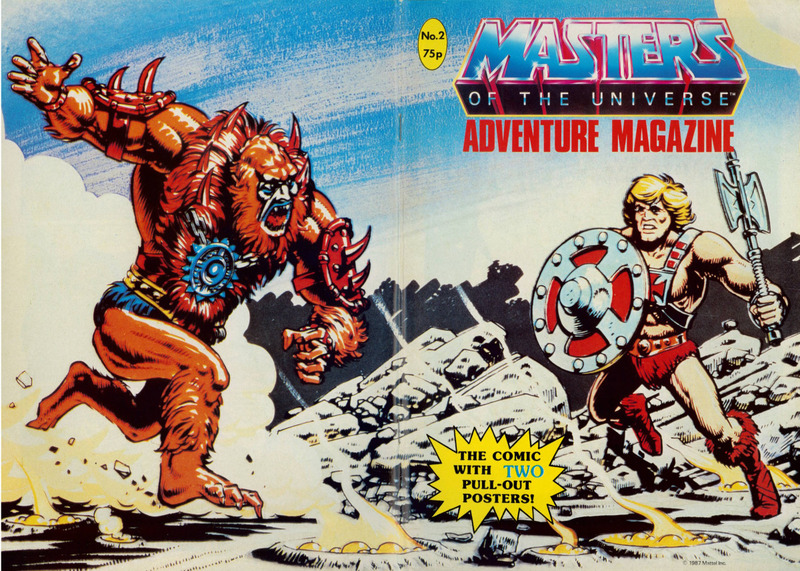 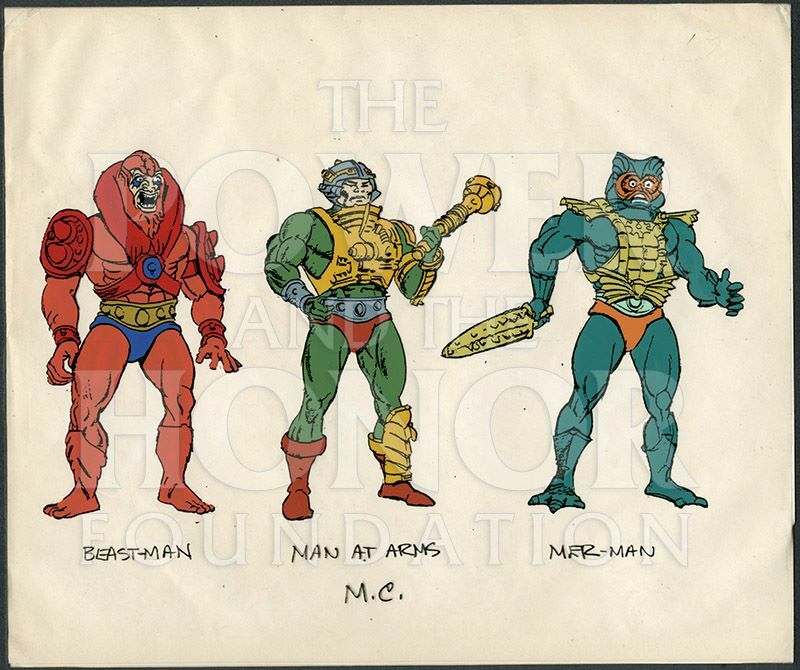 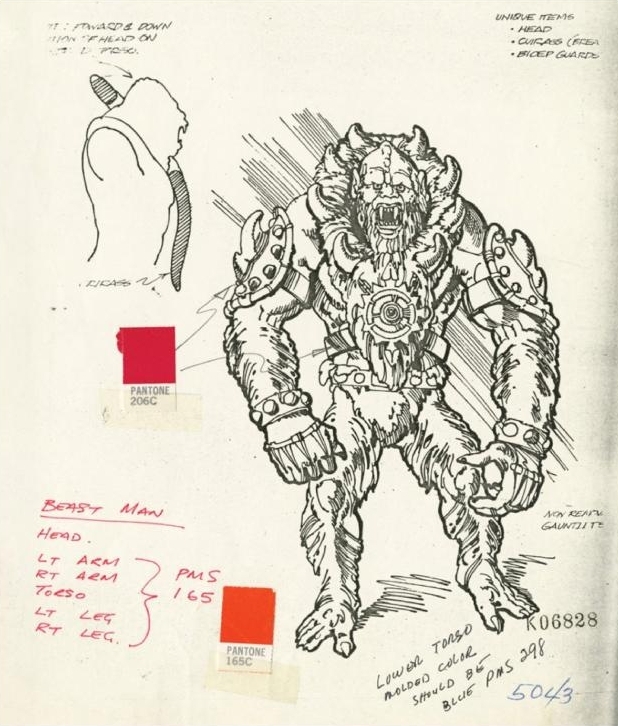 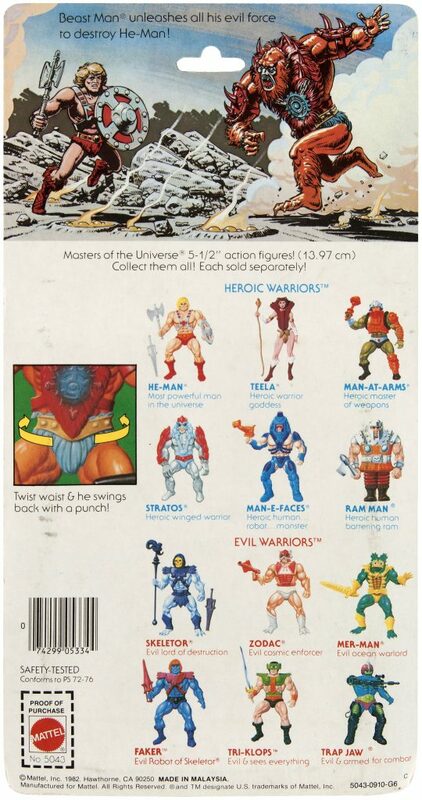 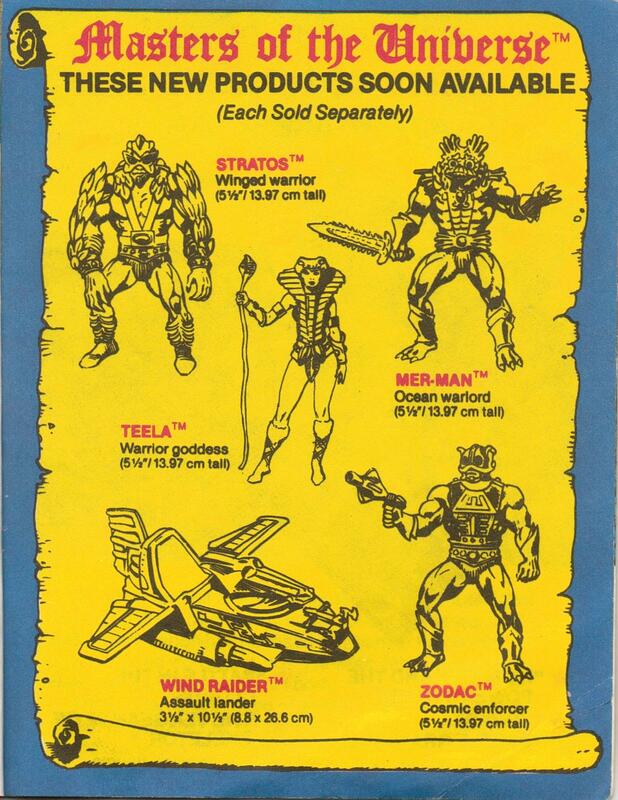 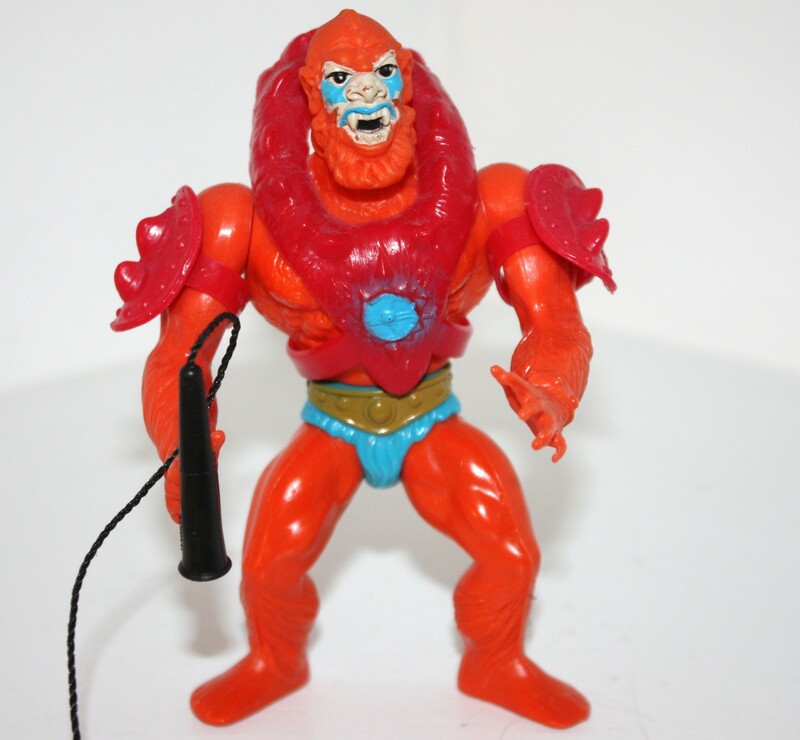 As we know, many of the characters, especially early ones, appeared in the comics closer based on early prototypes or sketches, but in the second wave comics Beast Man has a fairly different look in several, both design and colour wise. 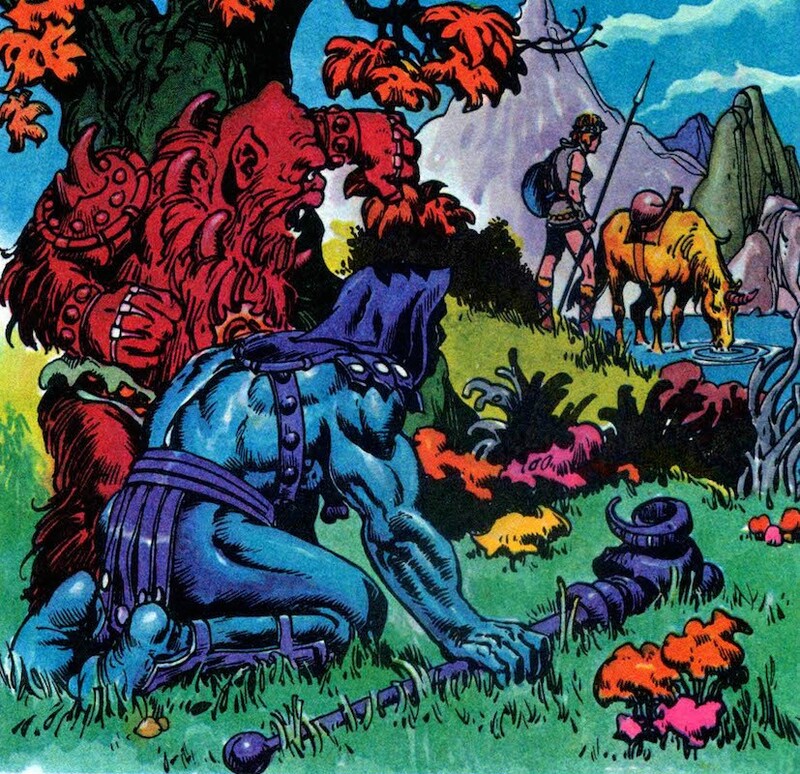 Nothing drastic, but different. 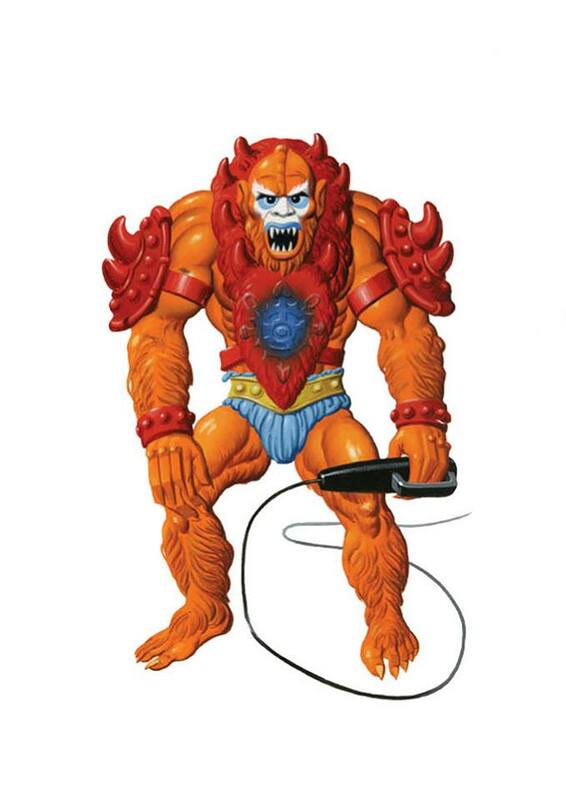 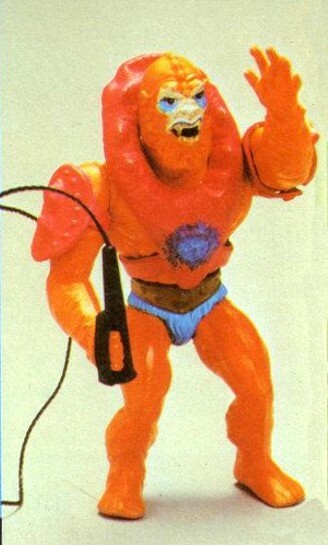 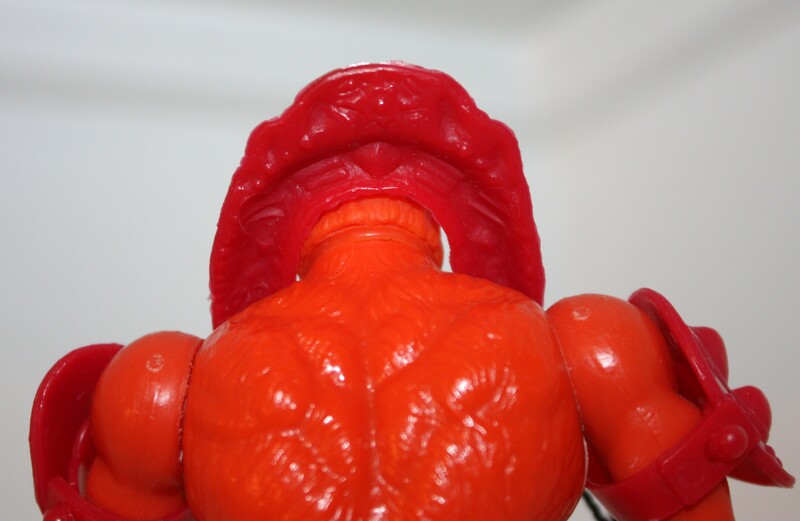 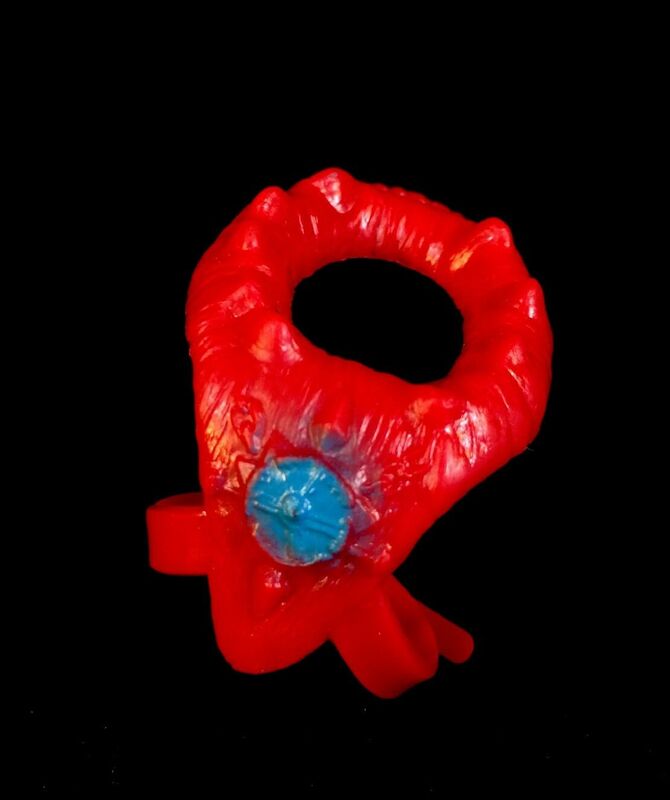 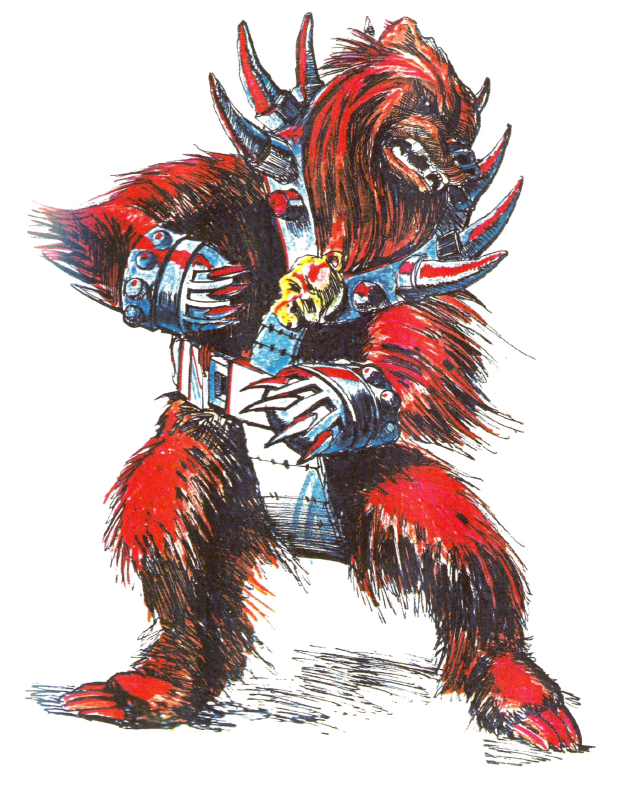 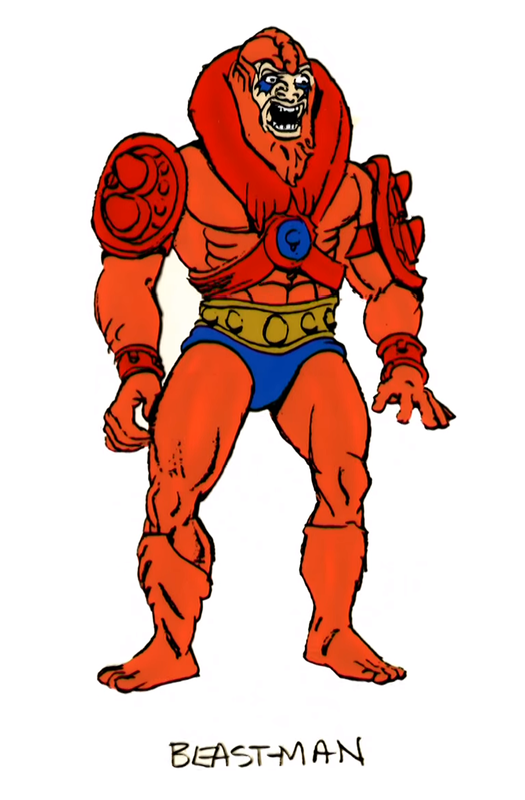 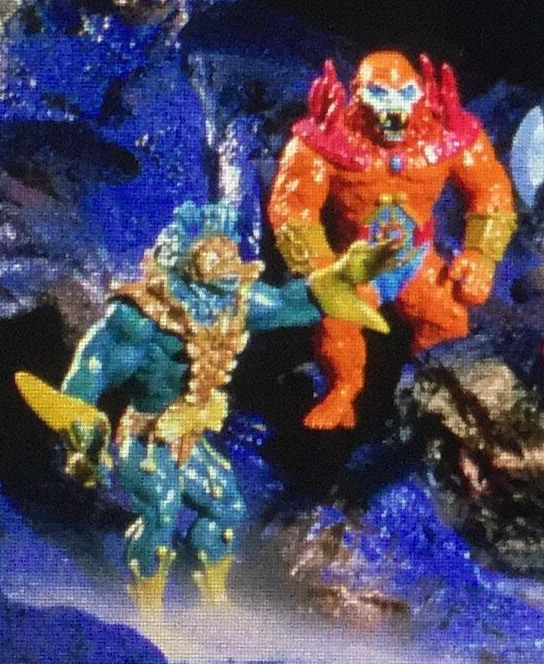 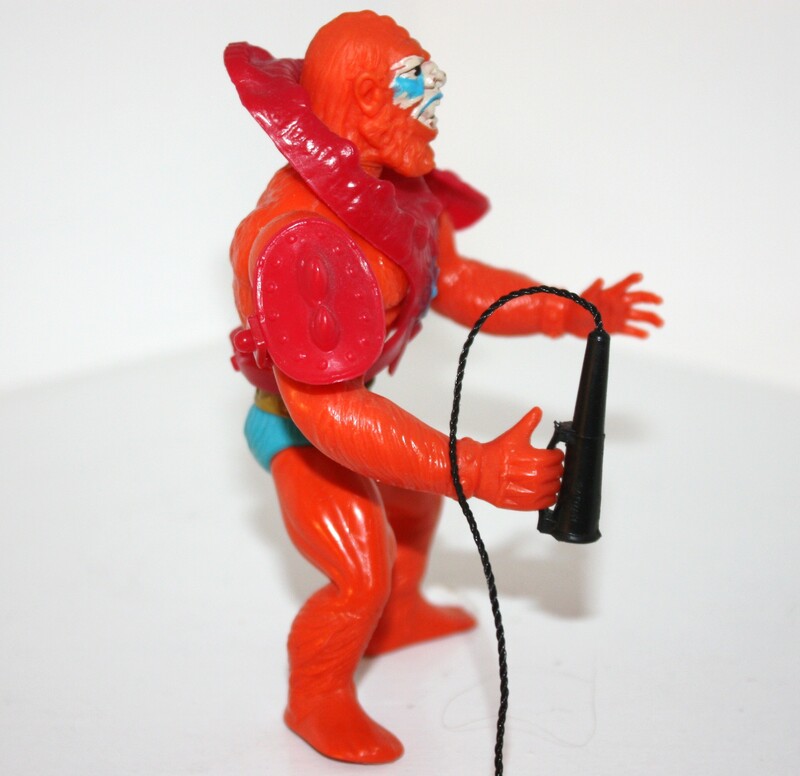 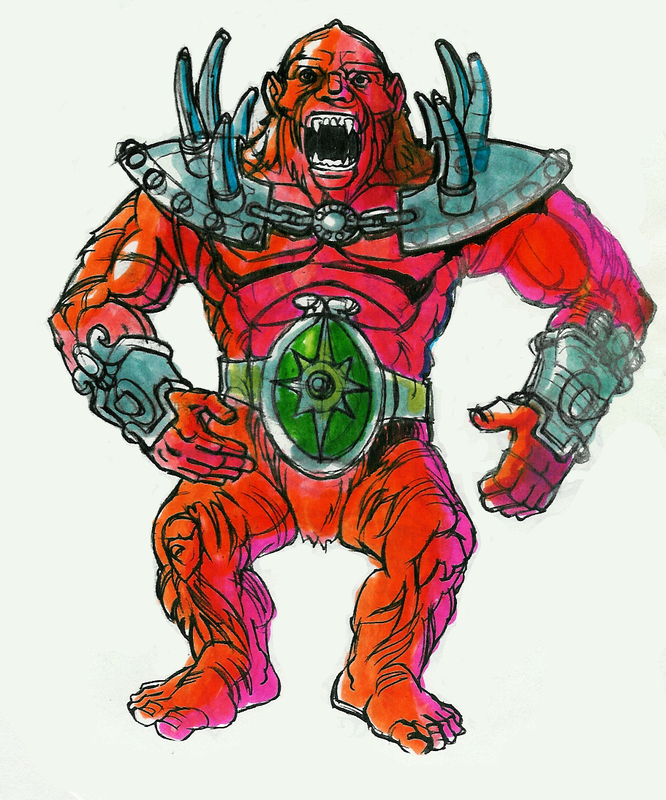 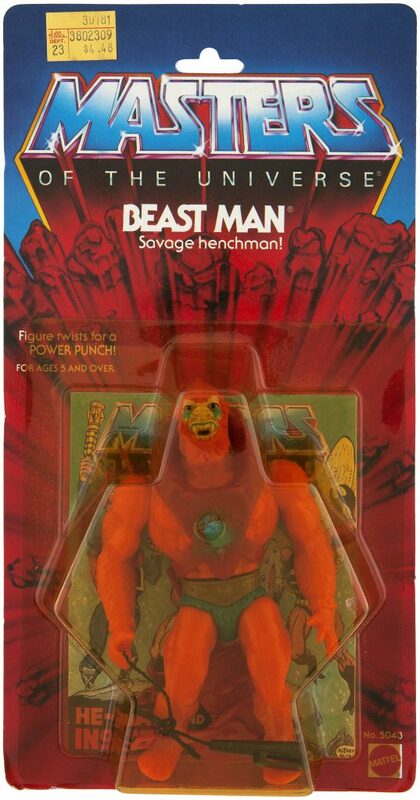 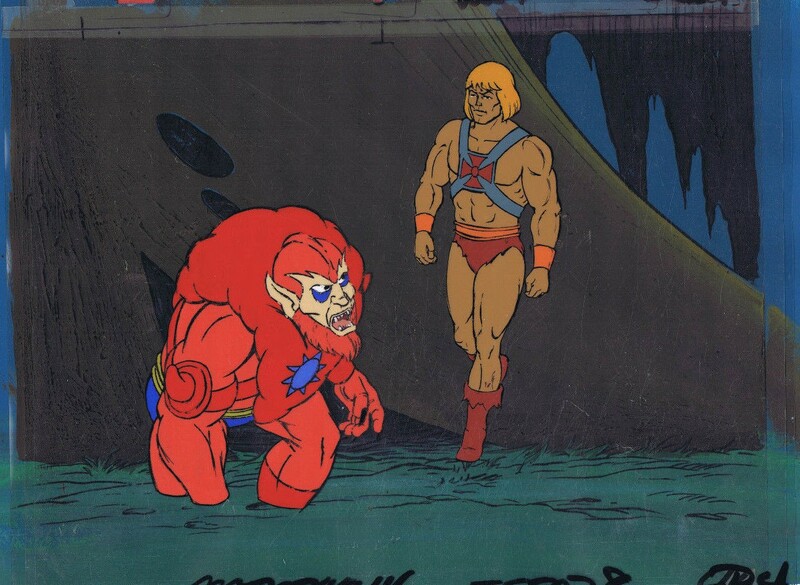 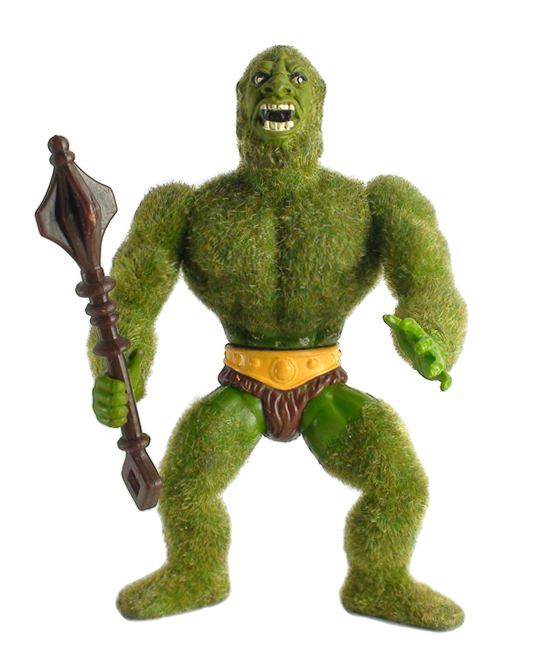 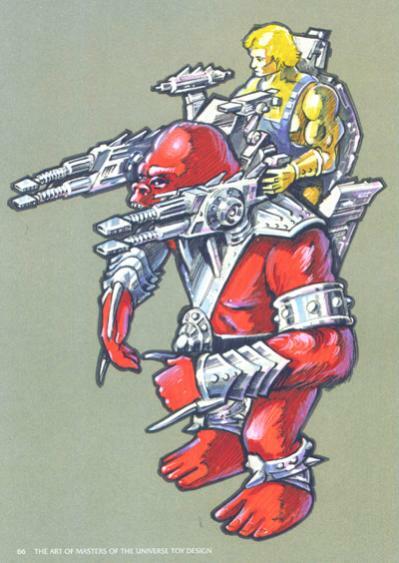 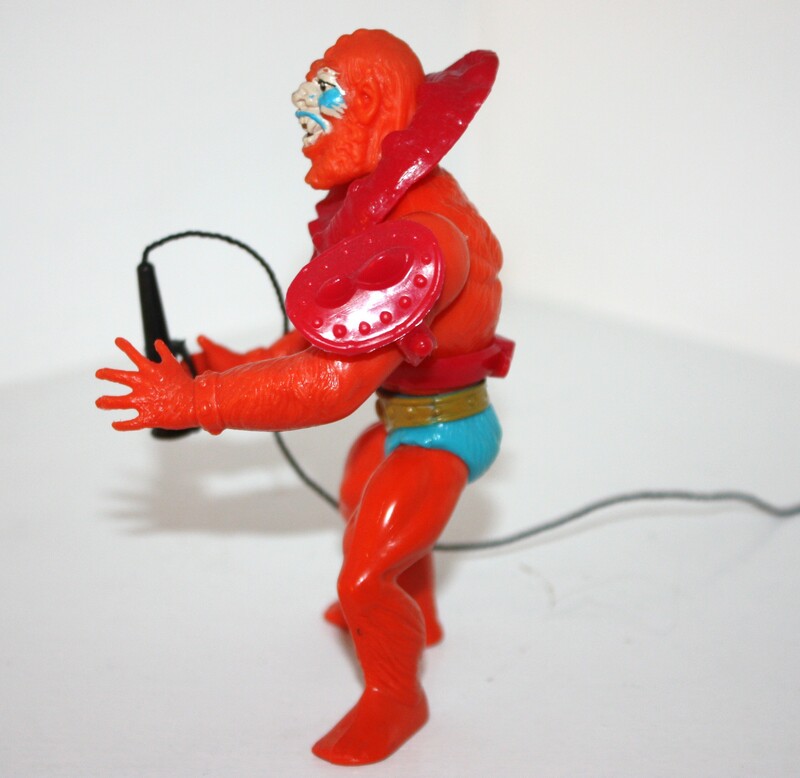 We’d already seen a toy-like Beast Man in the first wave mini-comics, just with redder colouring, so his design has been finalised by then. 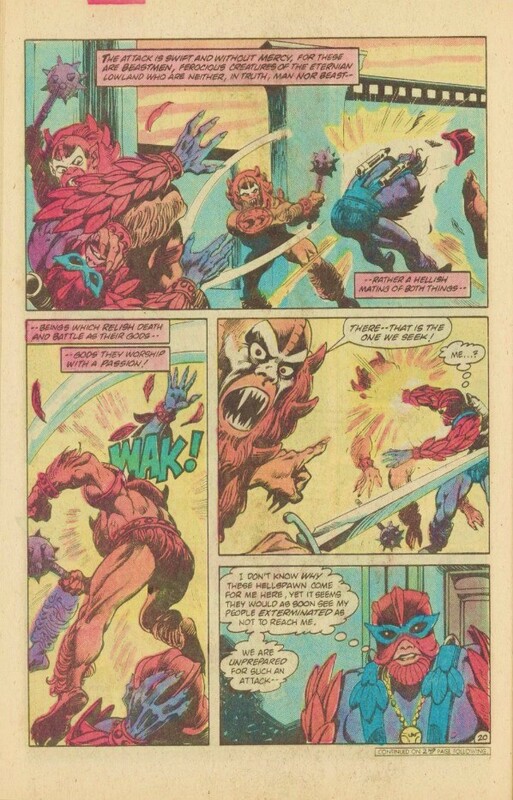 Several second wave comics clearly differ from this. 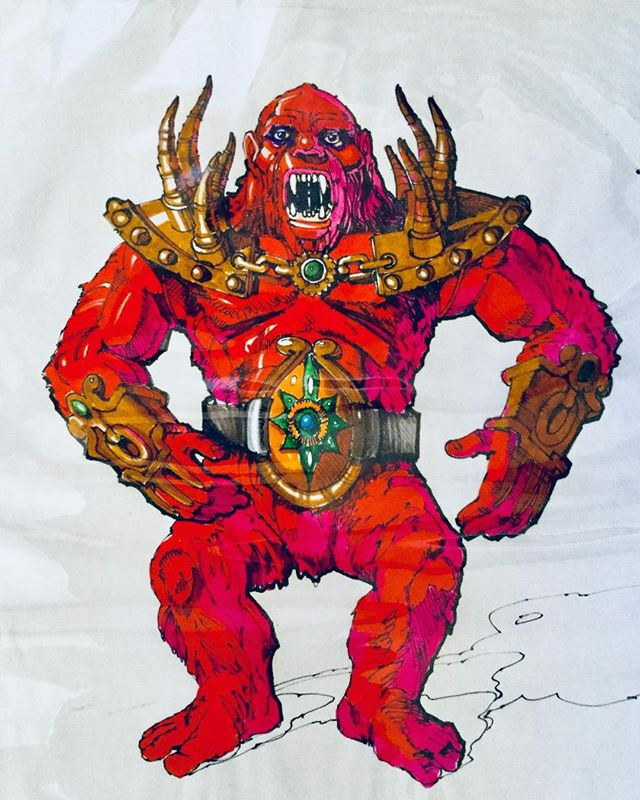 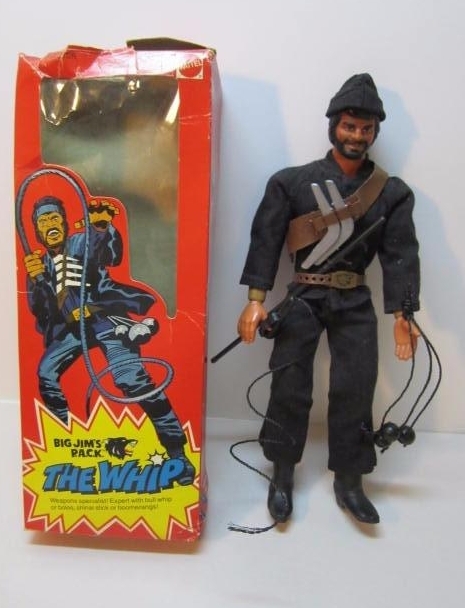 But I suppose, considering even much later in the line’s run we’d sometimes see artist’s own interpretations on some characters, this is just one example of an artist’s own take on a character. 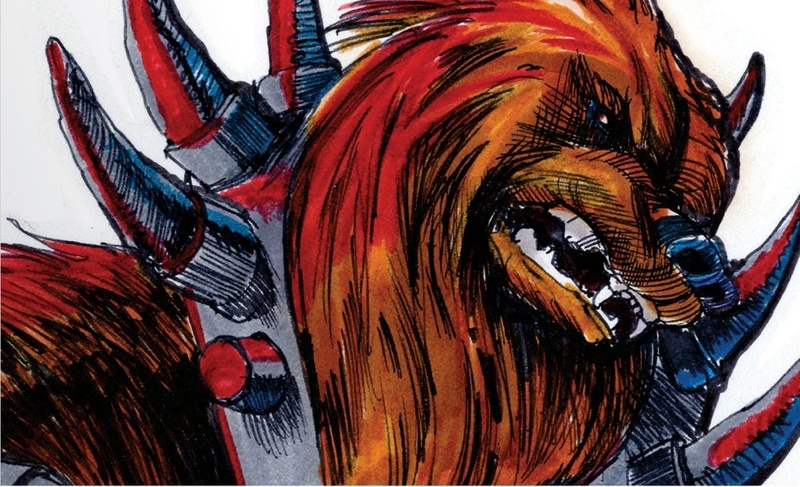 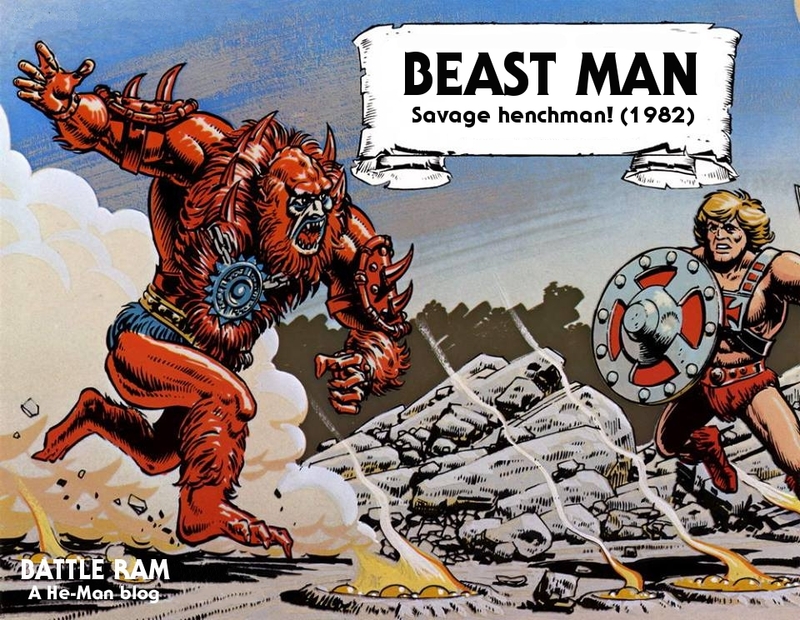 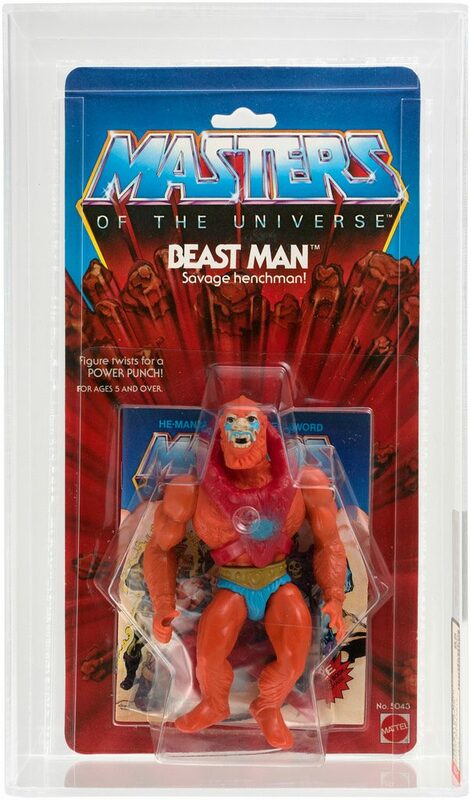 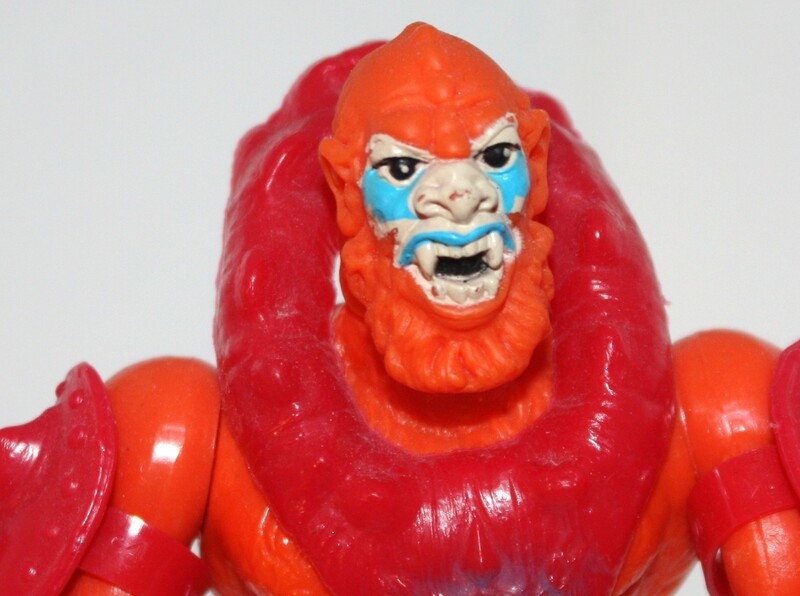 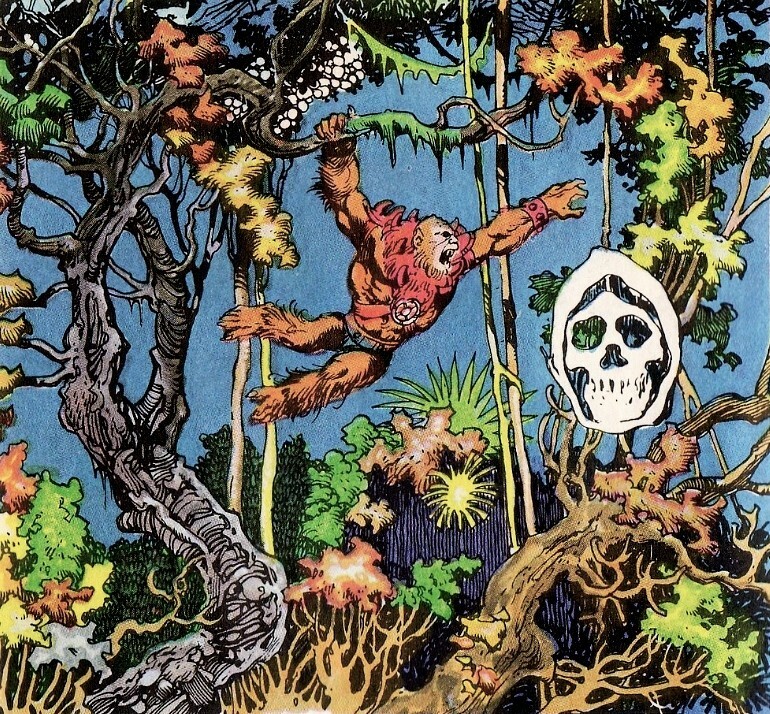 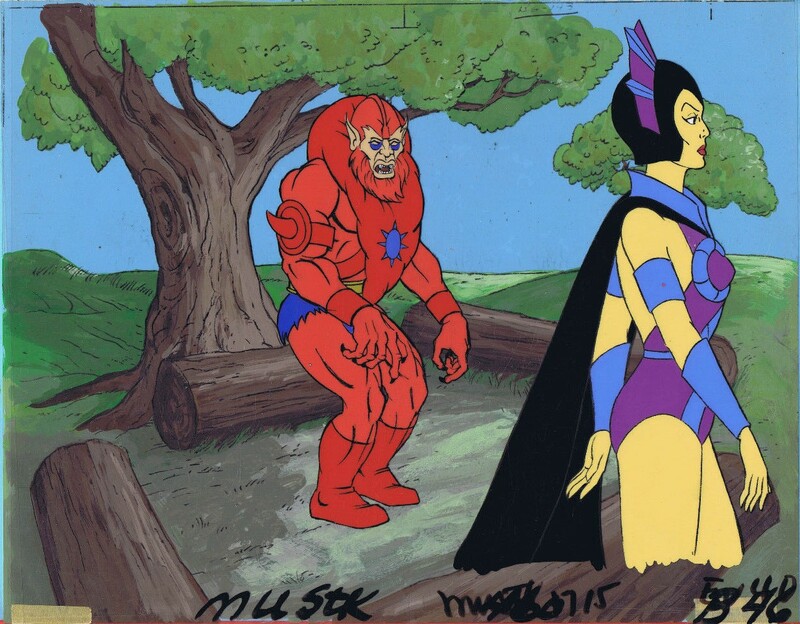 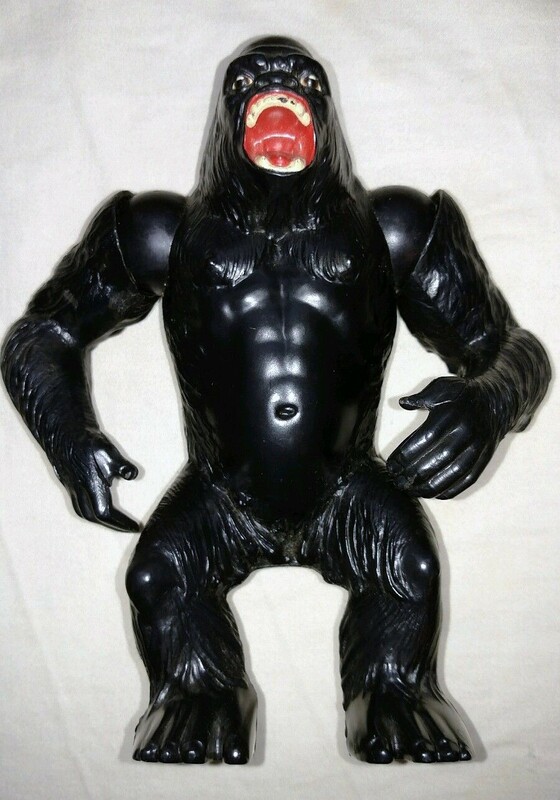 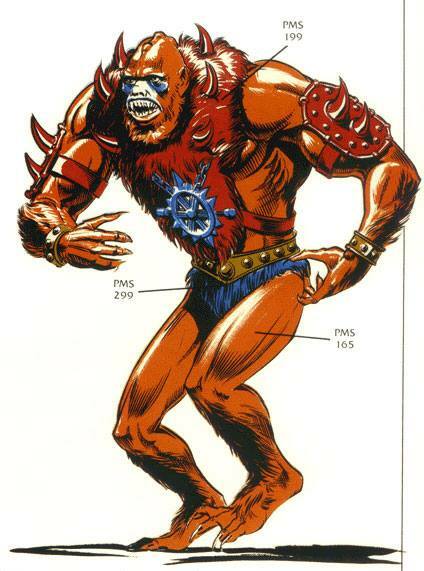 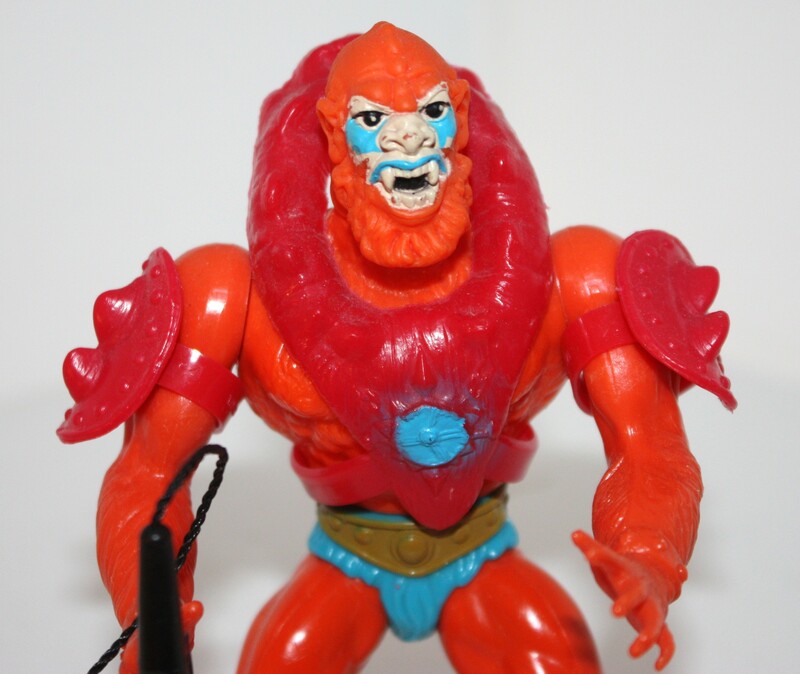 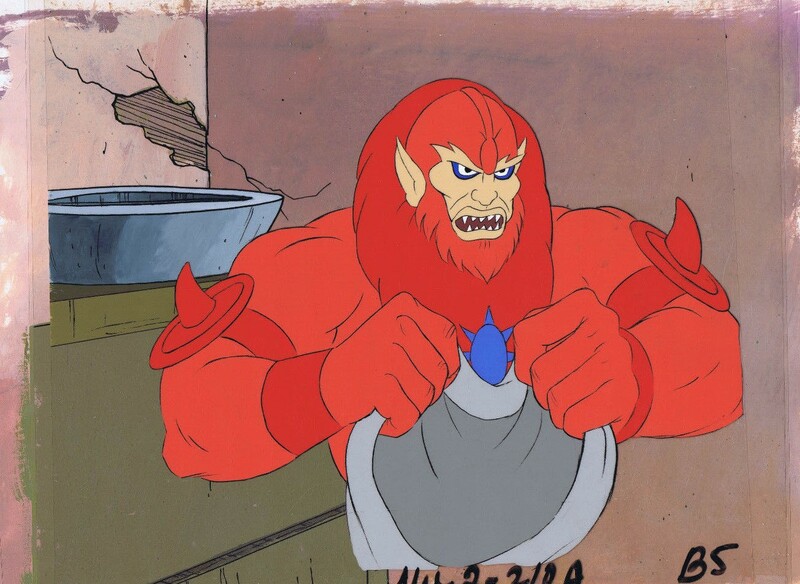 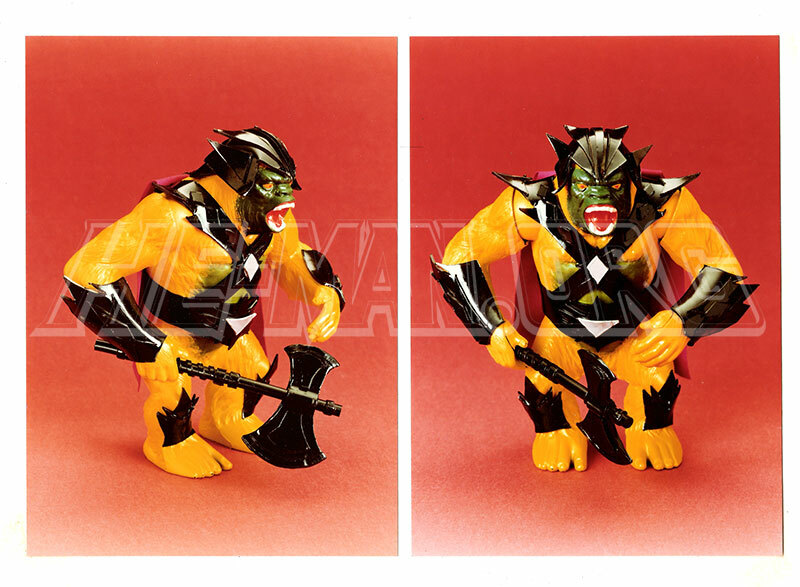 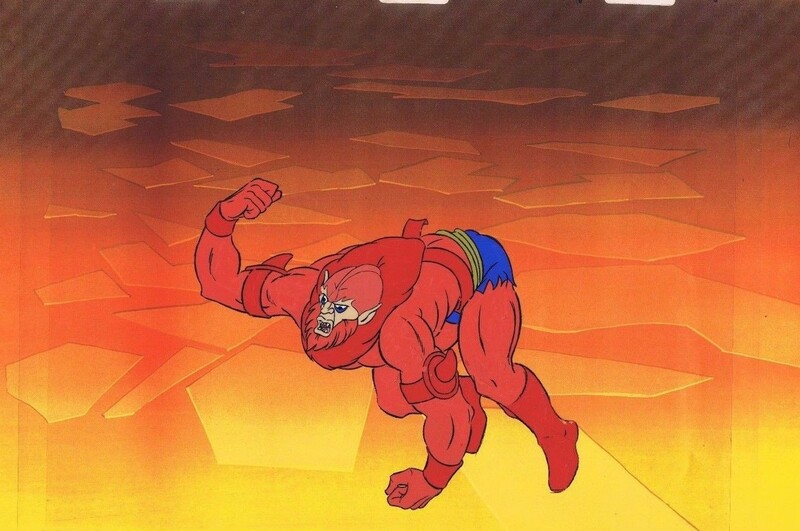 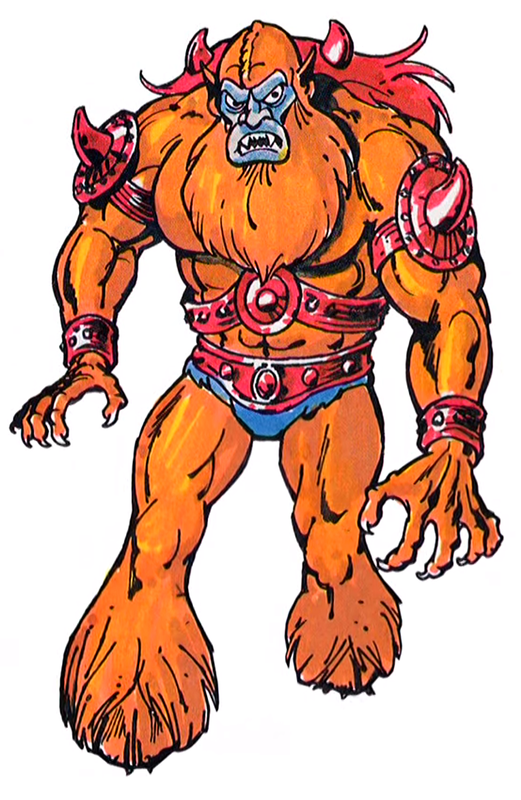 Beast Man is an intriguing character in that he can be witnessed as both a fierce, savage creature or more of a typical bumbling, slow-witted henchman – even within the same ‘versions’ of various MOTU lore. 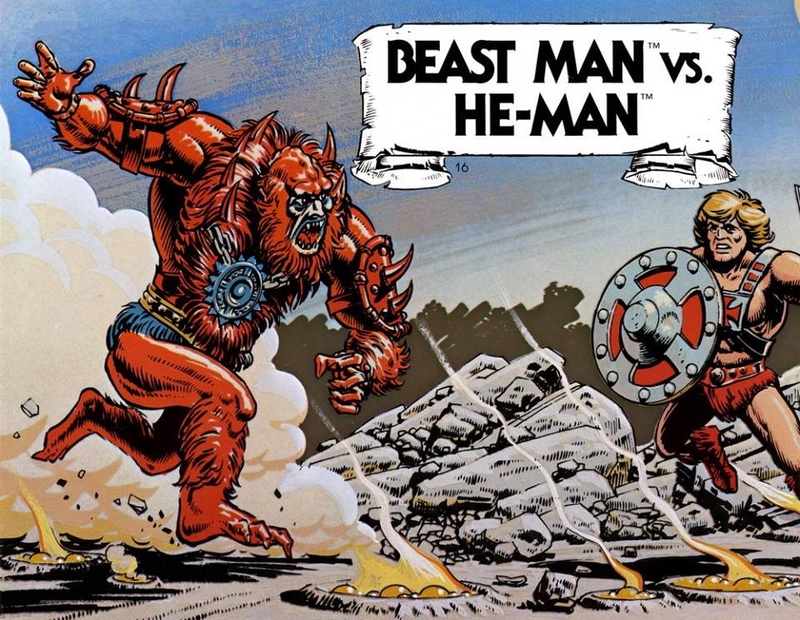 I’m not sure I have a preference over either, though do like to think of him as some threat as an enemy at least, not slapstick-ed down *too* much.